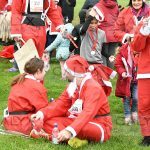 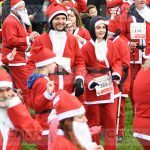 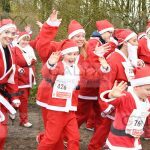 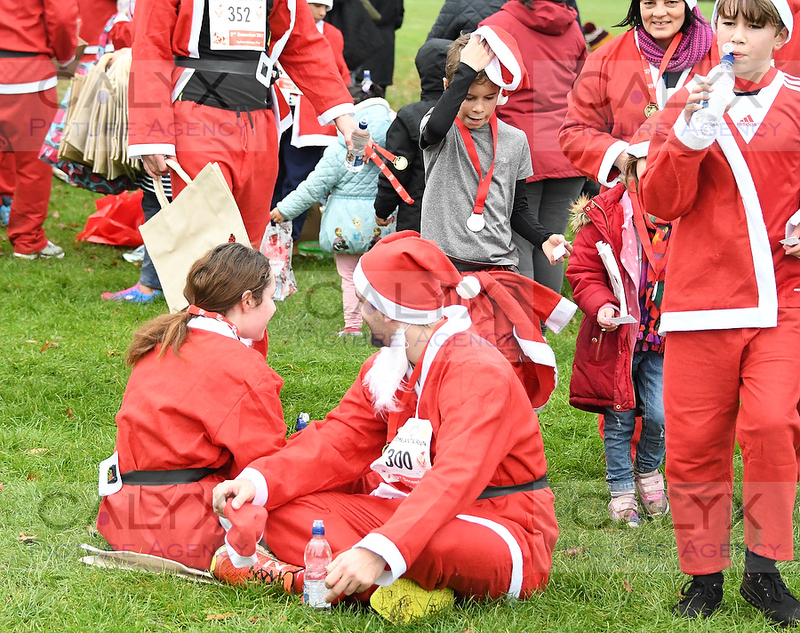 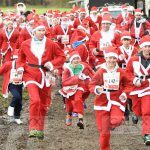 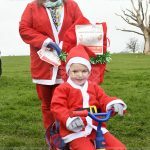 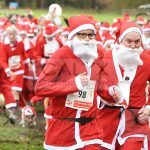 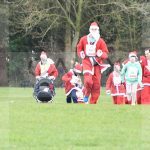 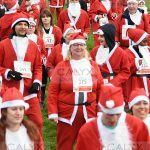 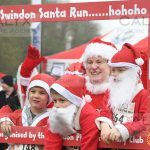 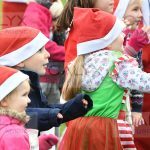 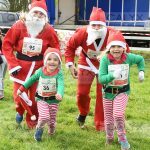 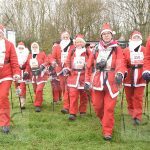 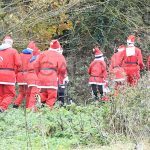 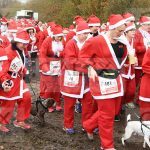 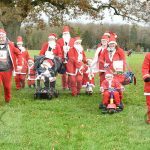 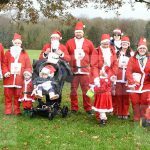 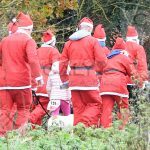 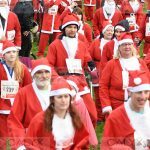 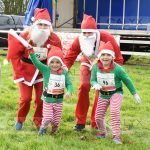 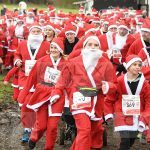 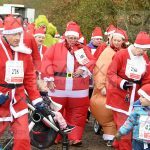 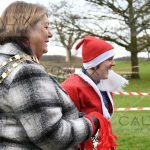 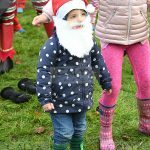 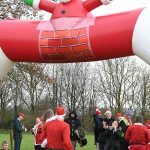 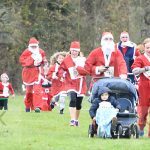 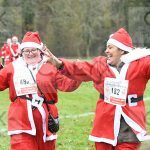 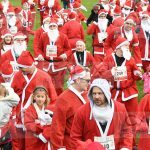 Swindon News | December 4, 2017 by Richard Wintle | Comments Off on Father Christmas’ attend the fun run. 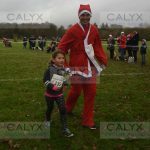 3530 ©Calyx Picture Agency Swindon Phoenix Rotary Club Santa Run Lydiard Park. 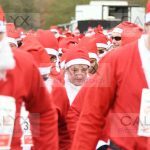 3538 ©Calyx Picture Agency Swindon Phoenix Rotary Club Santa Run Lydiard Park. 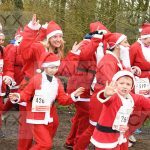 3541 ©Calyx Picture Agency Swindon Phoenix Rotary Club Santa Run Lydiard Park. 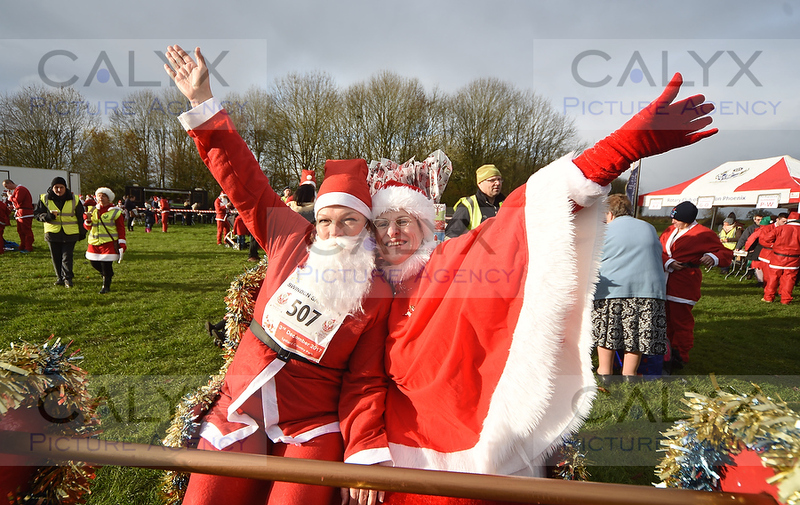 3548 ©Calyx Picture Agency Swindon Phoenix Rotary Club Santa Run Lydiard Park. 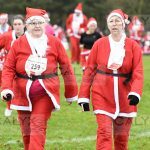 3553 ©Calyx Picture Agency Swindon Phoenix Rotary Club Santa Run Lydiard Park. 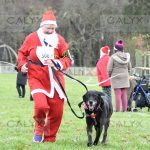 3558 ©Calyx Picture Agency Swindon Phoenix Rotary Club Santa Run Lydiard Park. 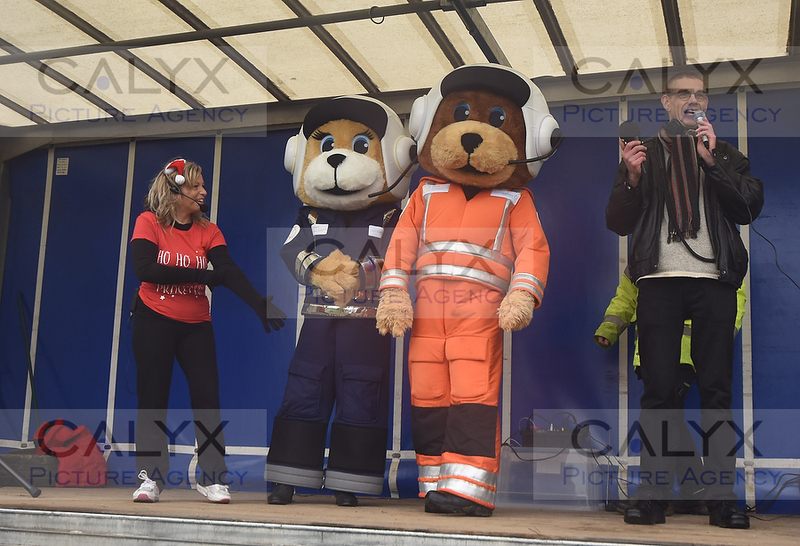 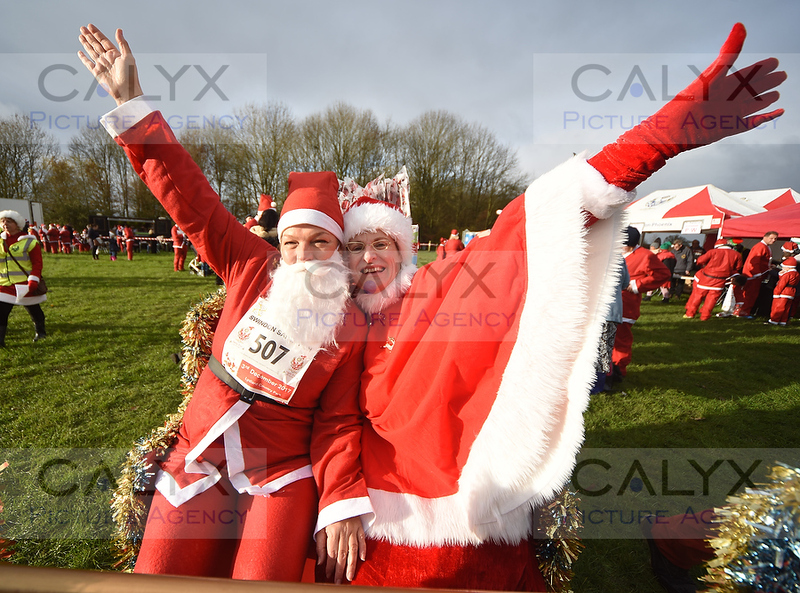 3578 ©Calyx Picture Agency Swindon Phoenix Rotary Club Santa Run Lydiard Park. 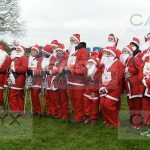 3584 ©Calyx Picture Agency Swindon Phoenix Rotary Club Santa Run Lydiard Park. 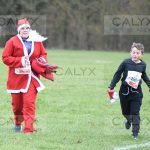 3592 ©Calyx Picture Agency Swindon Phoenix Rotary Club Santa Run Lydiard Park. 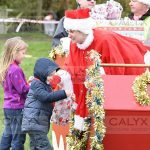 3603 ©Calyx Picture Agency Swindon Phoenix Rotary Club Santa Run Lydiard Park. 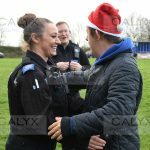 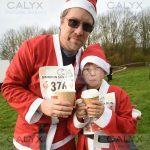 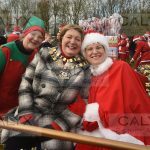 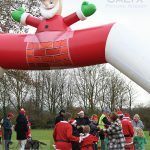 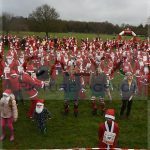 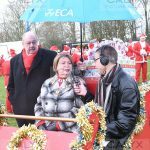 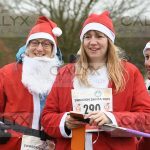 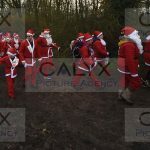 3608 ©Calyx Picture Agency Swindon Phoenix Rotary Club Santa Run Lydiard Park. 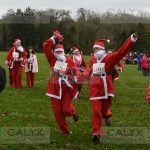 3611 ©Calyx Picture Agency Swindon Phoenix Rotary Club Santa Run Lydiard Park. 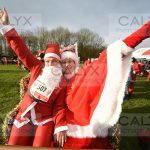 3626 ©Calyx Picture Agency Swindon Phoenix Rotary Club Santa Run Lydiard Park. 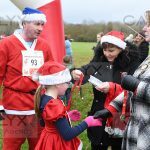 3637 ©Calyx Picture Agency Swindon Phoenix Rotary Club Santa Run Lydiard Park. 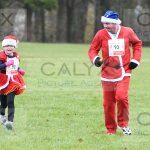 3644 ©Calyx Picture Agency Swindon Phoenix Rotary Club Santa Run Lydiard Park. 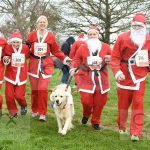 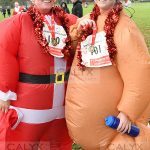 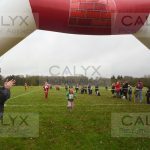 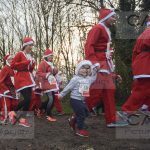 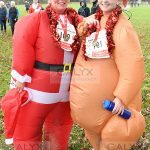 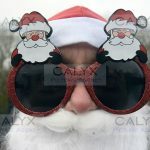 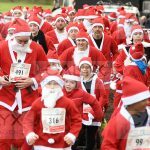 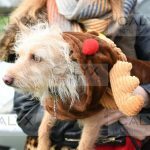 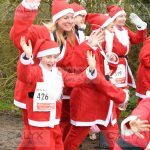 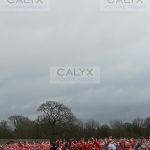 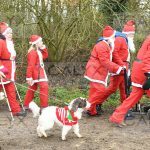 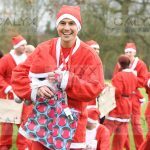 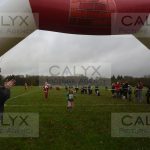 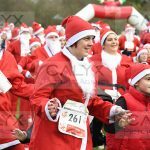 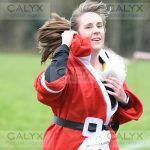 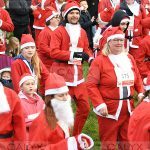 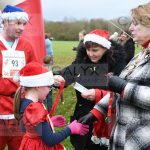 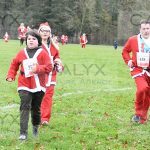 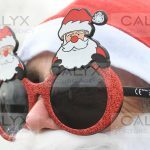 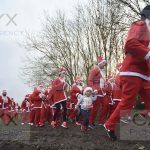 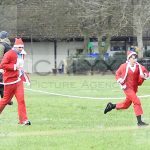 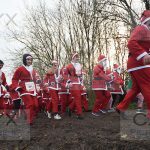 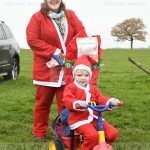 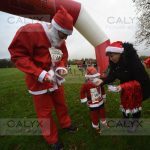 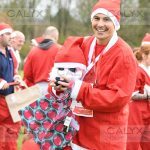 3663 ©Calyx Picture Agency Swindon Phoenix Rotary Club Santa Run Lydiard Park. 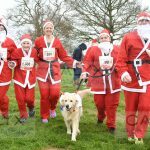 3683 ©Calyx Picture Agency Swindon Phoenix Rotary Club Santa Run Lydiard Park. 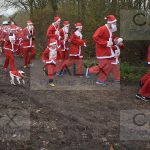 3706 ©Calyx Picture Agency Swindon Phoenix Rotary Club Santa Run Lydiard Park. 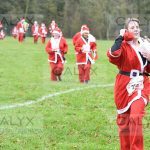 3711 ©Calyx Picture Agency Swindon Phoenix Rotary Club Santa Run Lydiard Park. 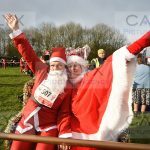 3714 ©Calyx Picture Agency Swindon Phoenix Rotary Club Santa Run Lydiard Park. 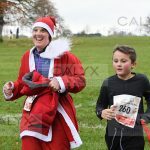 3720 ©Calyx Picture Agency Swindon Phoenix Rotary Club Santa Run Lydiard Park. 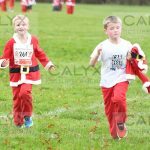 3724 ©Calyx Picture Agency Swindon Phoenix Rotary Club Santa Run Lydiard Park. 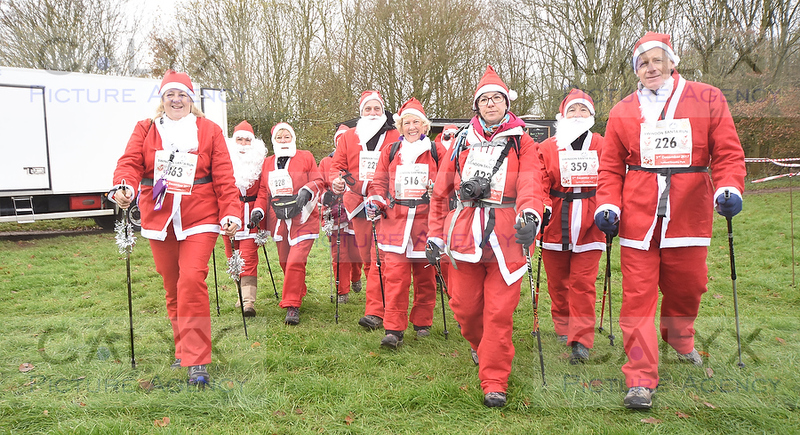 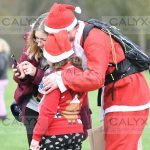 3730 ©Calyx Picture Agency Swindon Phoenix Rotary Club Santa Run Lydiard Park. 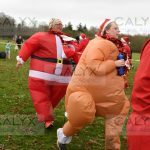 3748 ©Calyx Picture Agency Swindon Phoenix Rotary Club Santa Run Lydiard Park. 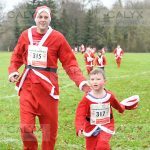 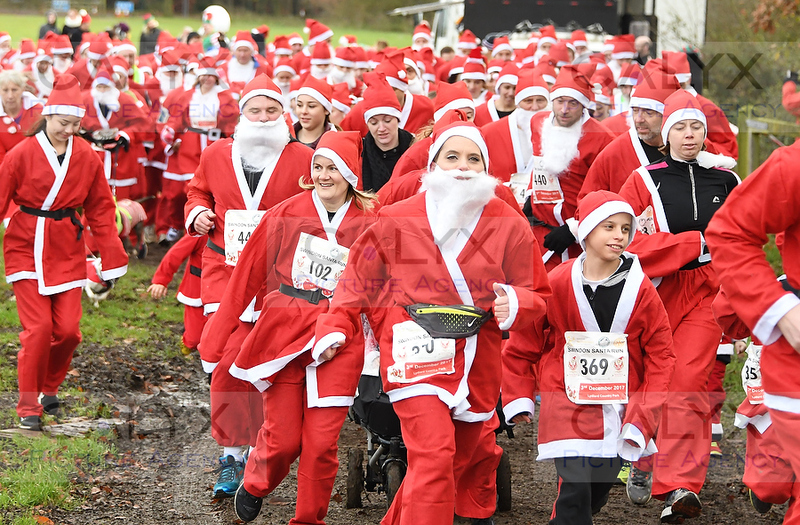 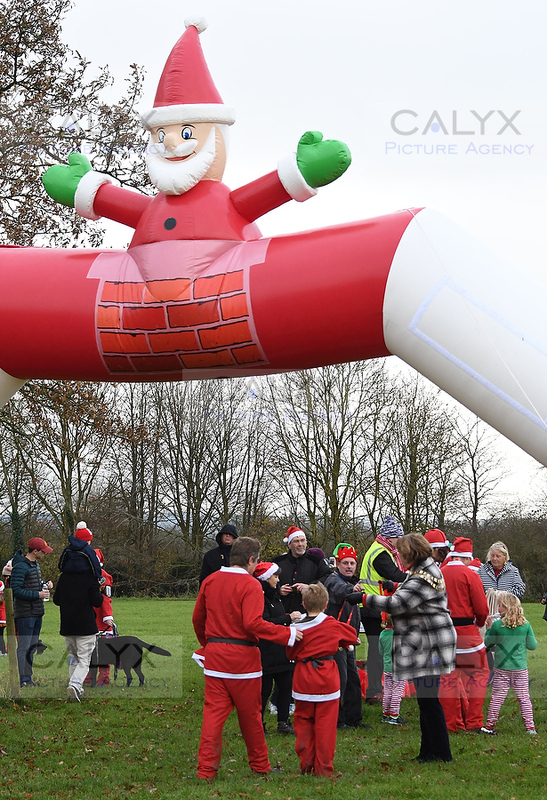 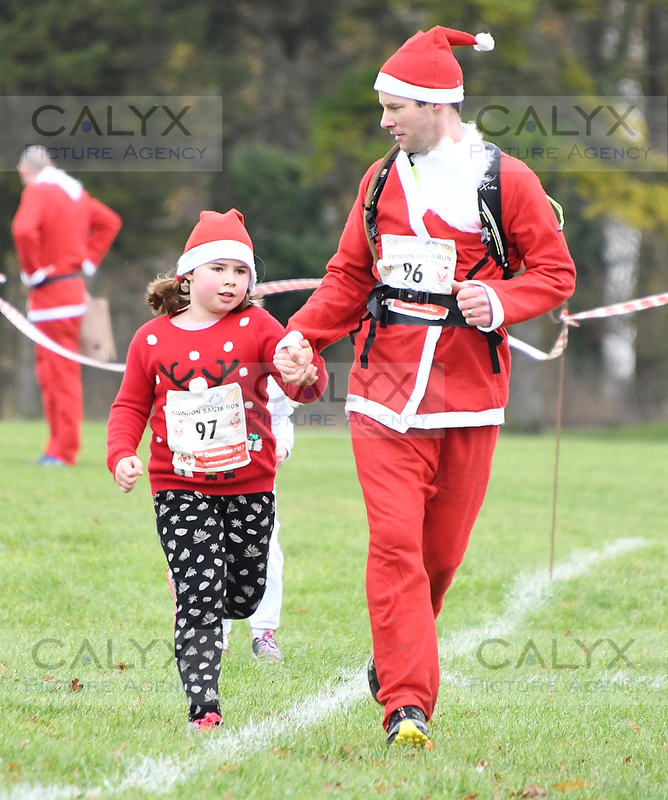 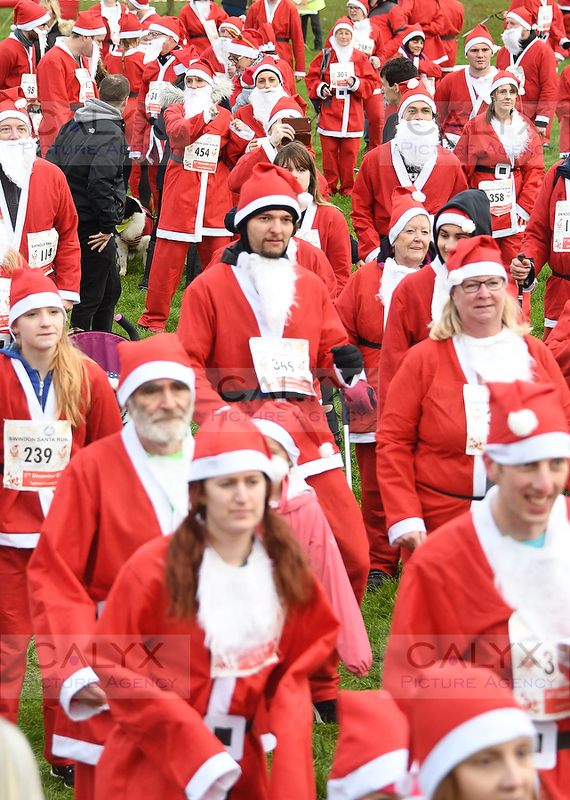 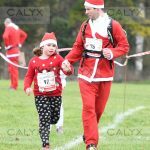 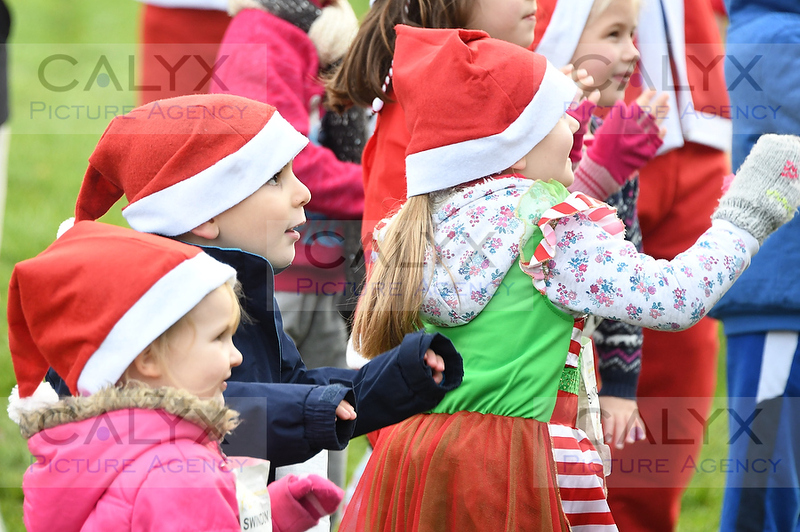 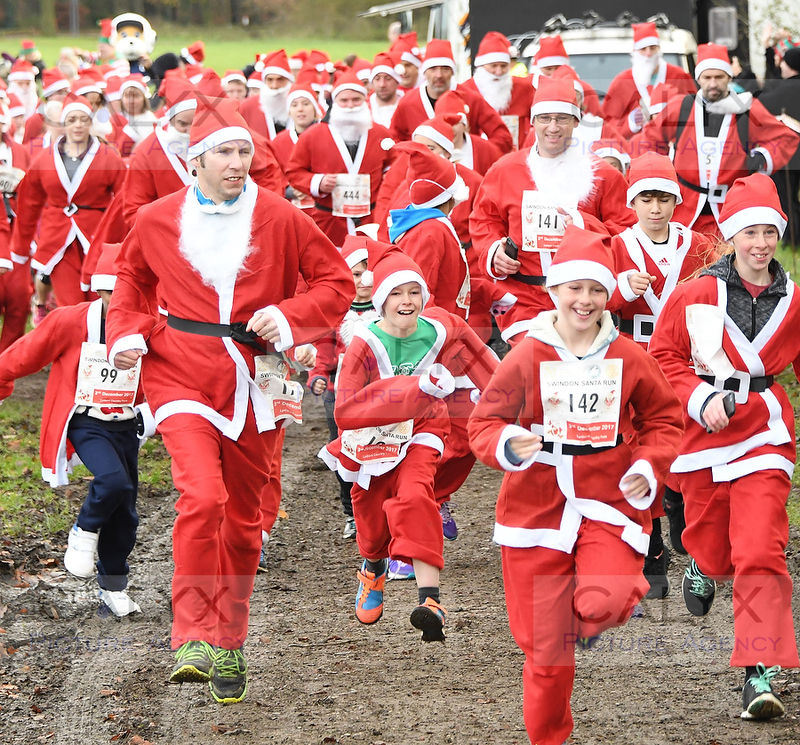 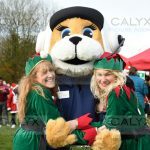 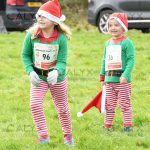 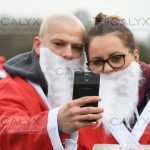 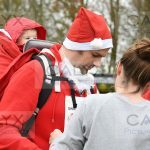 3750 ©Calyx Picture Agency Swindon Phoenix Rotary Club Santa Run Lydiard Park. 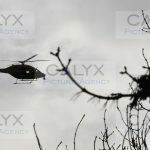 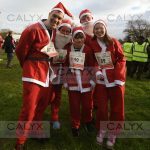 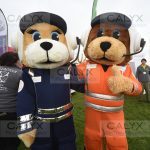 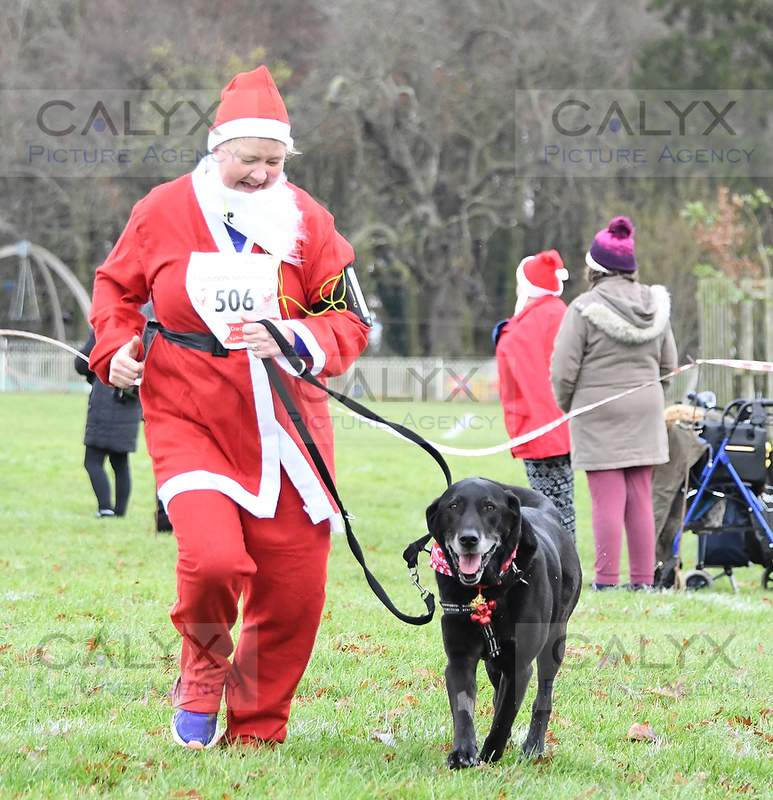 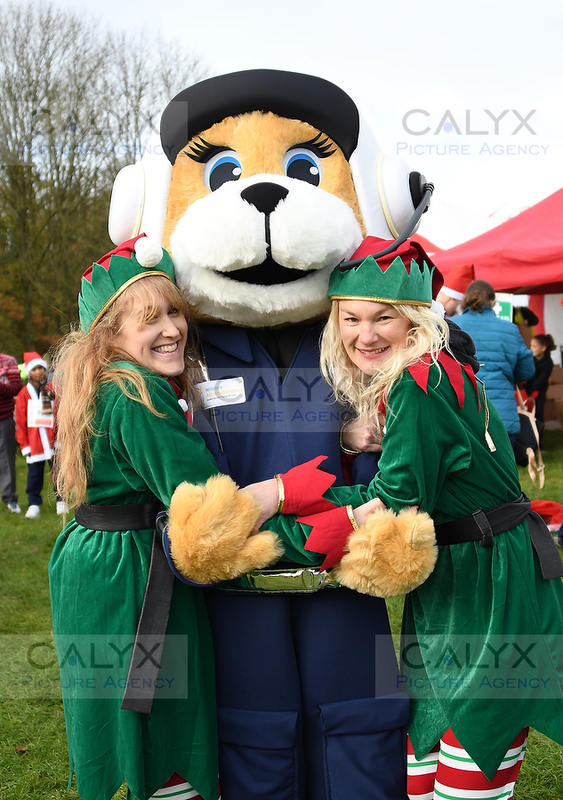 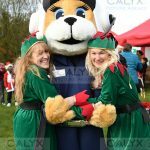 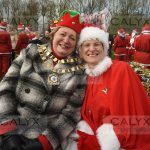 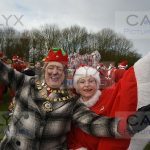 3670 ©Calyx Picture Agency Swindon Phoenix Rotary Club Santa Run Lydiard Park. 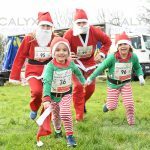 3674 ©Calyx Picture Agency Swindon Phoenix Rotary Club Santa Run Lydiard Park. 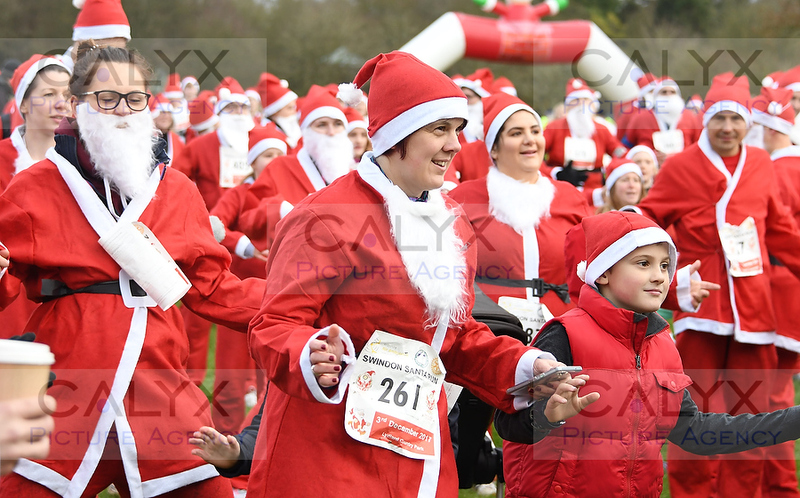 8572 ©Calyx Picture Agency Swindon Phoenix Rotary Club Santa Run Lydiard Park. 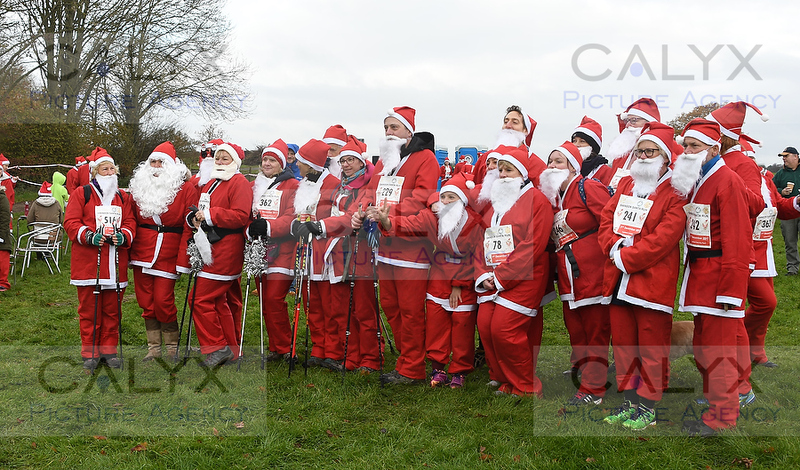 8577 ©Calyx Picture Agency Swindon Phoenix Rotary Club Santa Run Lydiard Park. 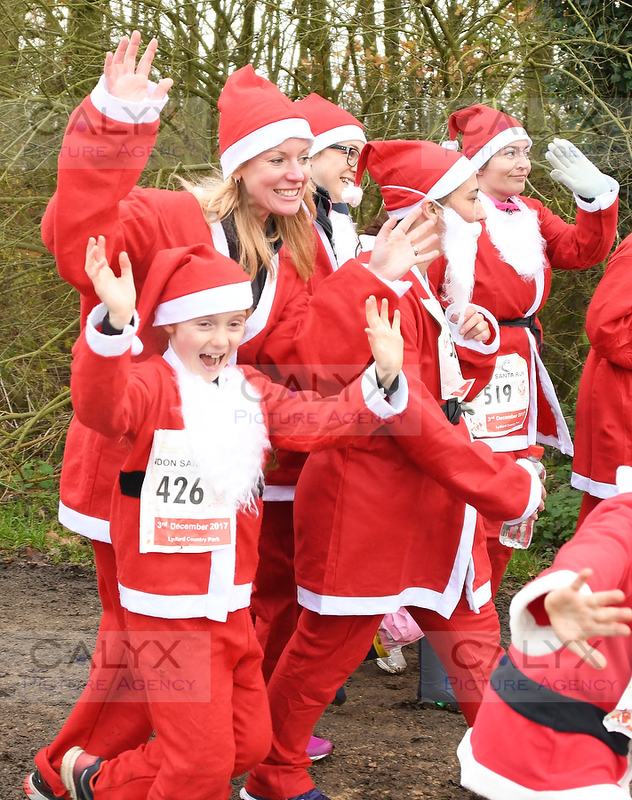 8580 ©Calyx Picture Agency Swindon Phoenix Rotary Club Santa Run Lydiard Park. 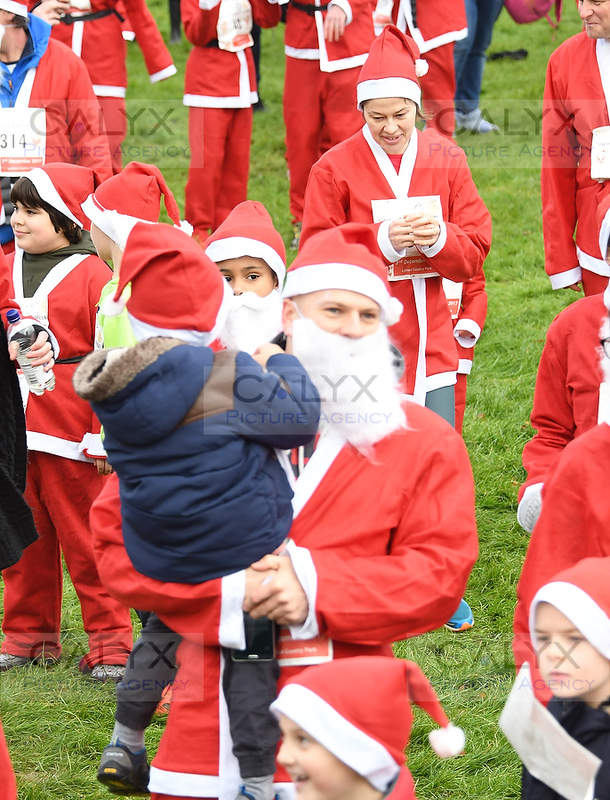 8583 ©Calyx Picture Agency Swindon Phoenix Rotary Club Santa Run Lydiard Park. 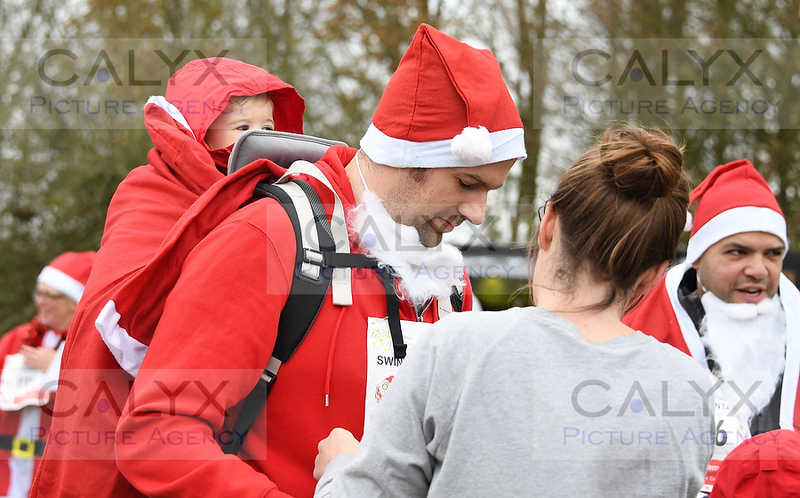 8589 ©Calyx Picture Agency Swindon Phoenix Rotary Club Santa Run Lydiard Park. 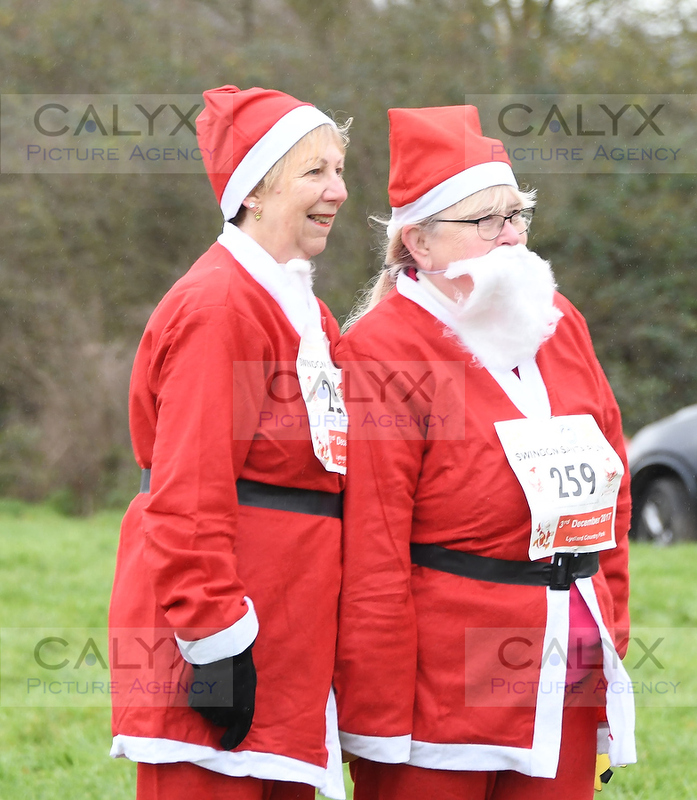 8593 ©Calyx Picture Agency Swindon Phoenix Rotary Club Santa Run Lydiard Park. 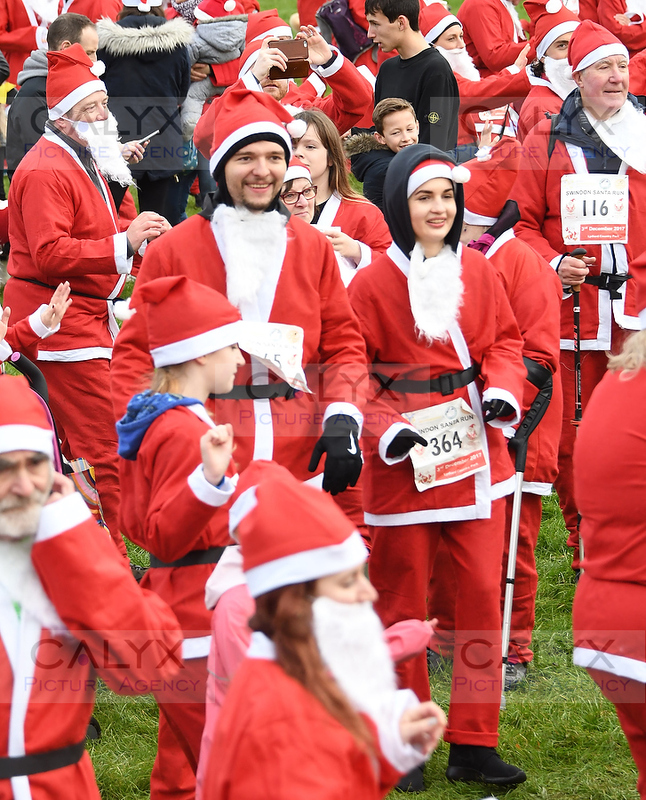 8598 ©Calyx Picture Agency Swindon Phoenix Rotary Club Santa Run Lydiard Park. 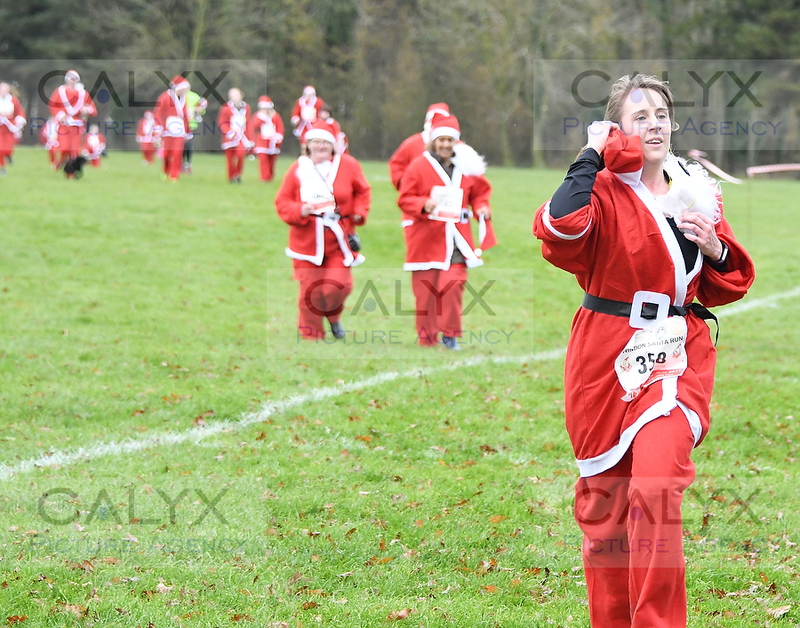 8606 ©Calyx Picture Agency Swindon Phoenix Rotary Club Santa Run Lydiard Park. 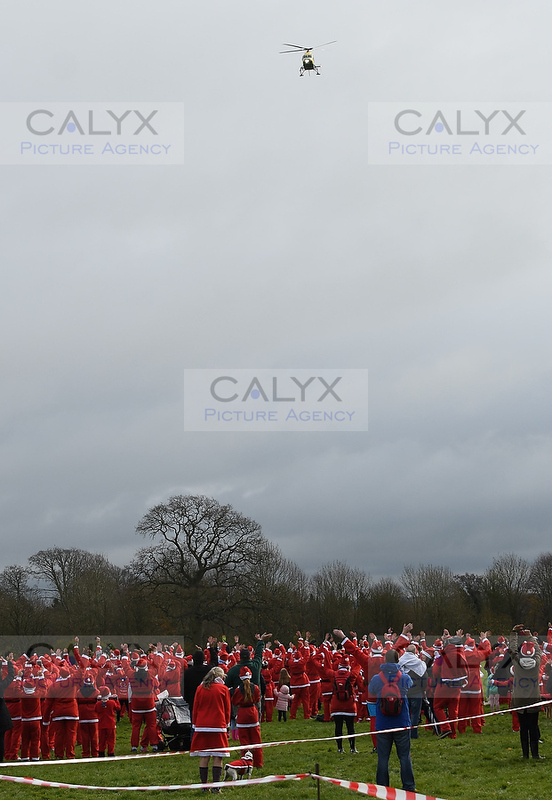 8609 ©Calyx Picture Agency Swindon Phoenix Rotary Club Santa Run Lydiard Park. 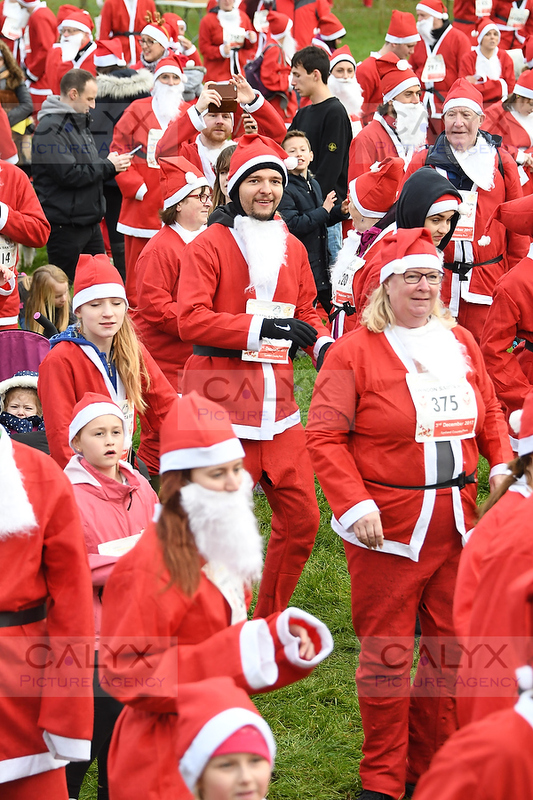 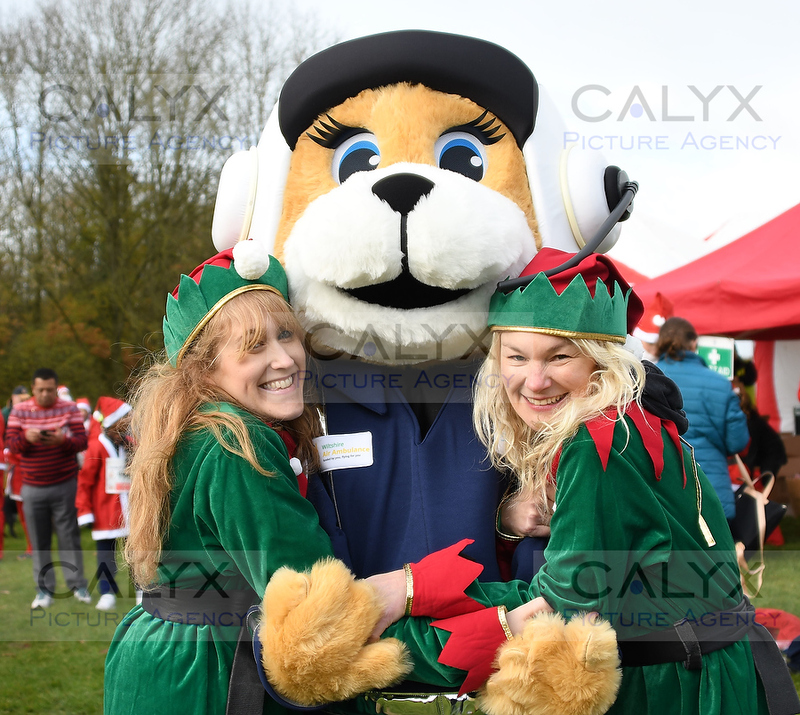 8630 ©Calyx Picture Agency Swindon Phoenix Rotary Club Santa Run Lydiard Park. 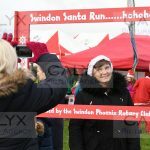 8634 ©Calyx Picture Agency Swindon Phoenix Rotary Club Santa Run Lydiard Park. 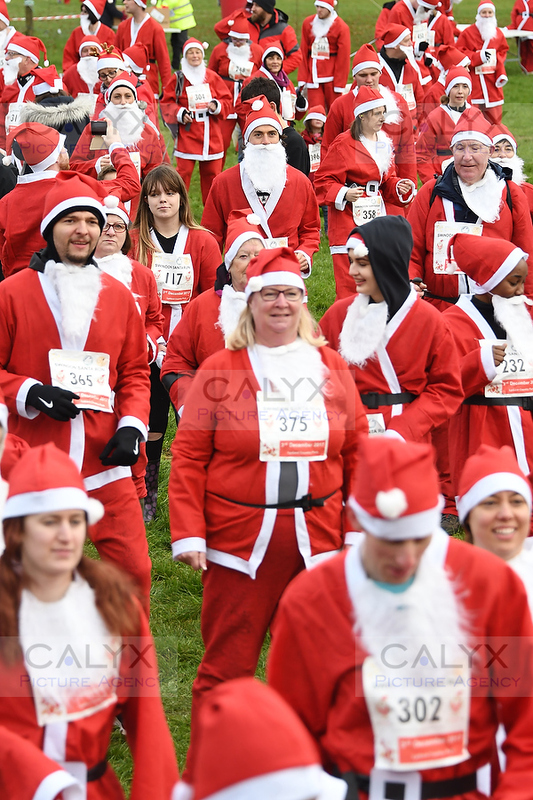 8640 ©Calyx Picture Agency Swindon Phoenix Rotary Club Santa Run Lydiard Park. 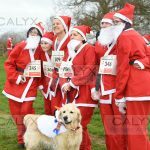 8661 ©Calyx Picture Agency Swindon Phoenix Rotary Club Santa Run Lydiard Park. 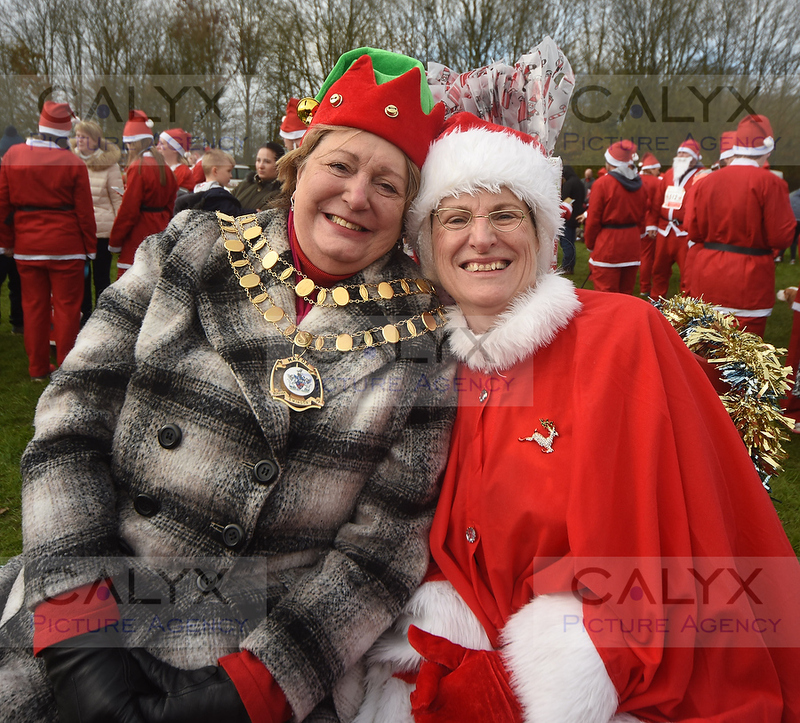 8669 ©Calyx Picture Agency Swindon Phoenix Rotary Club Santa Run Lydiard Park. 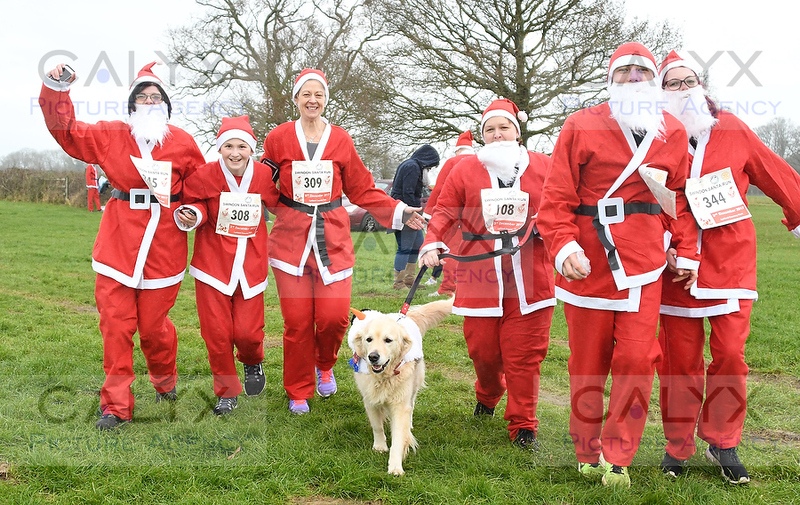 8683 ©Calyx Picture Agency Swindon Phoenix Rotary Club Santa Run Lydiard Park. 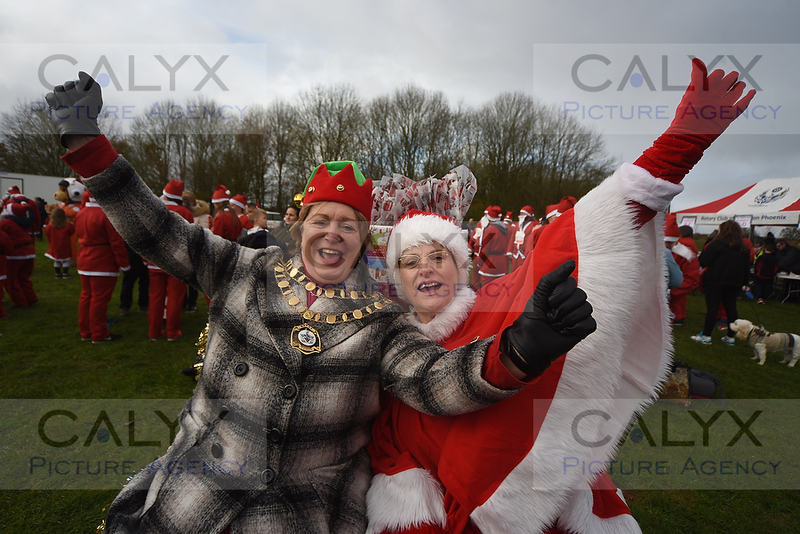 8689 ©Calyx Picture Agency Swindon Phoenix Rotary Club Santa Run Lydiard Park. 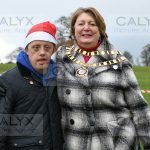 8697 ©Calyx Picture Agency Swindon Phoenix Rotary Club Santa Run Lydiard Park. 8703 ©Calyx Picture Agency Swindon Phoenix Rotary Club Santa Run Lydiard Park. 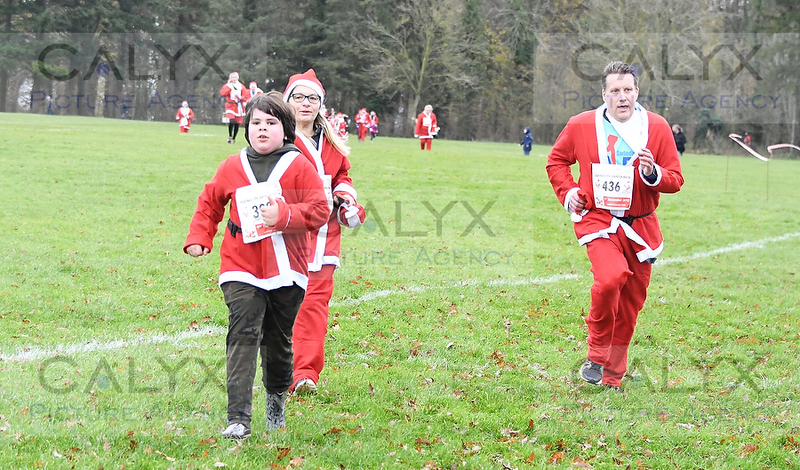 8709 ©Calyx Picture Agency Swindon Phoenix Rotary Club Santa Run Lydiard Park. 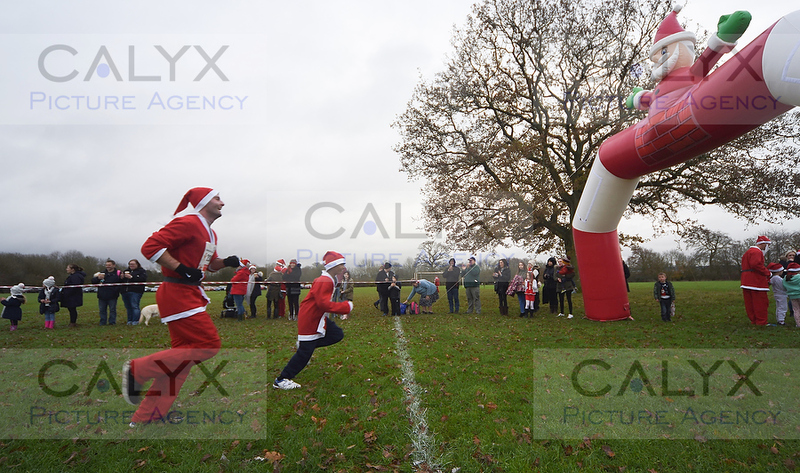 8714 ©Calyx Picture Agency Swindon Phoenix Rotary Club Santa Run Lydiard Park. 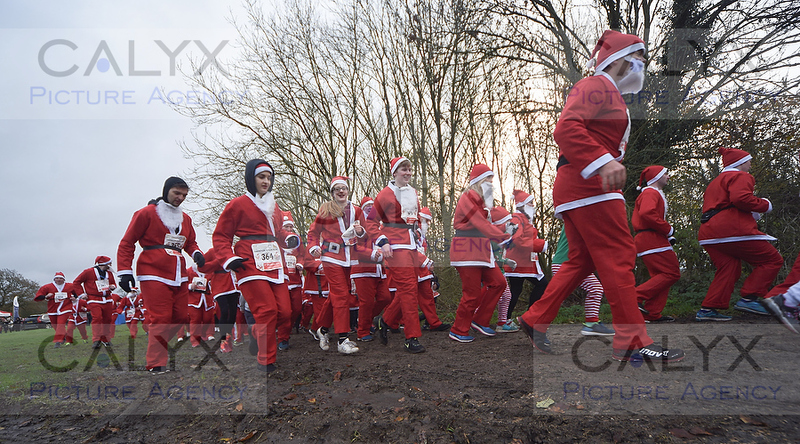 8716 ©Calyx Picture Agency Swindon Phoenix Rotary Club Santa Run Lydiard Park. 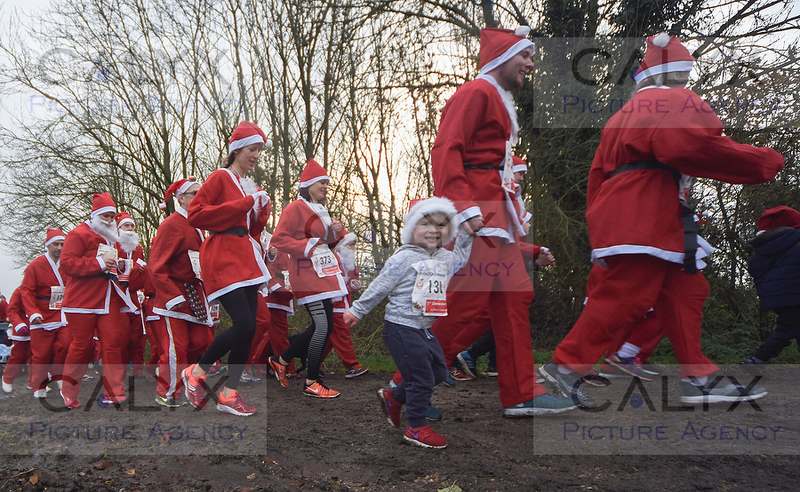 8737 ©Calyx Picture Agency Swindon Phoenix Rotary Club Santa Run Lydiard Park. 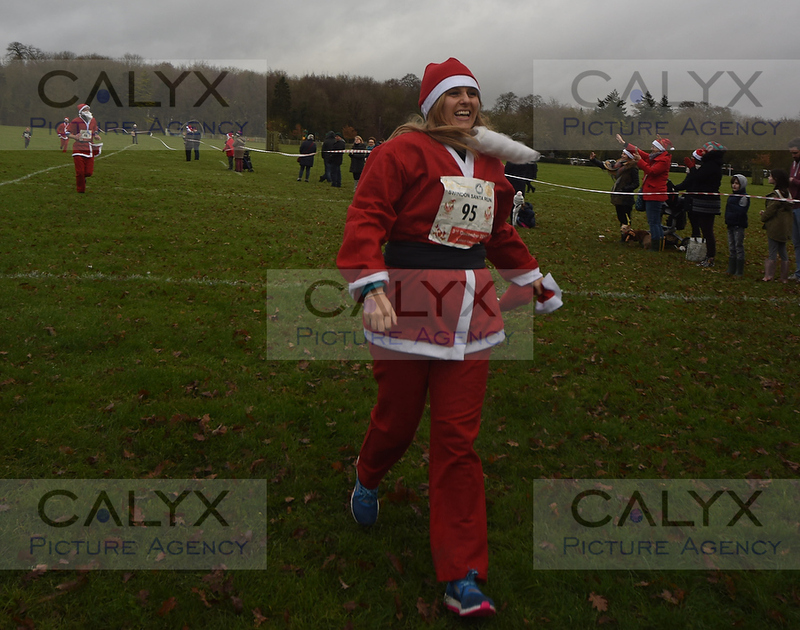 8748 ©Calyx Picture Agency Swindon Phoenix Rotary Club Santa Run Lydiard Park. 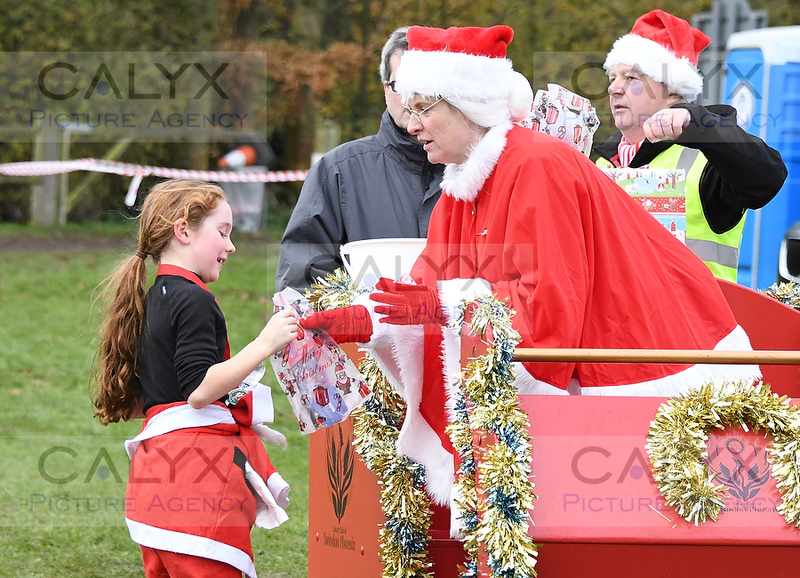 8758 ©Calyx Picture Agency Swindon Phoenix Rotary Club Santa Run Lydiard Park. 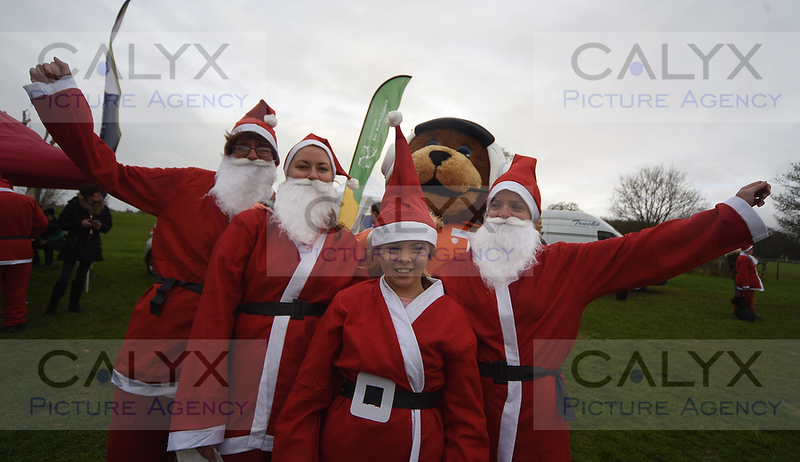 8769 ©Calyx Picture Agency Swindon Phoenix Rotary Club Santa Run Lydiard Park. 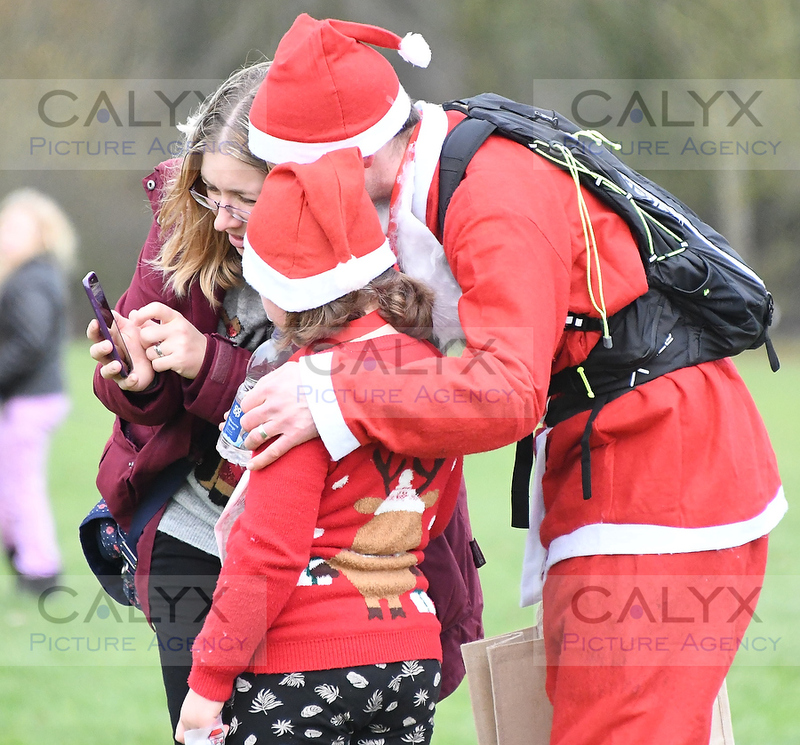 8775 ©Calyx Picture Agency Swindon Phoenix Rotary Club Santa Run Lydiard Park. 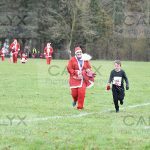 8780 ©Calyx Picture Agency Swindon Phoenix Rotary Club Santa Run Lydiard Park. 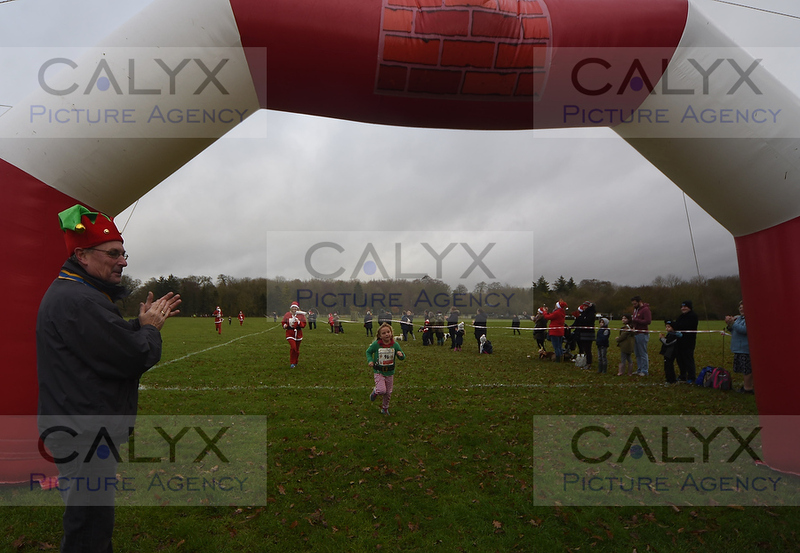 8788 ©Calyx Picture Agency Swindon Phoenix Rotary Club Santa Run Lydiard Park. 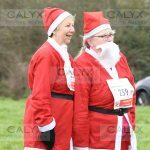 8796 ©Calyx Picture Agency Swindon Phoenix Rotary Club Santa Run Lydiard Park. 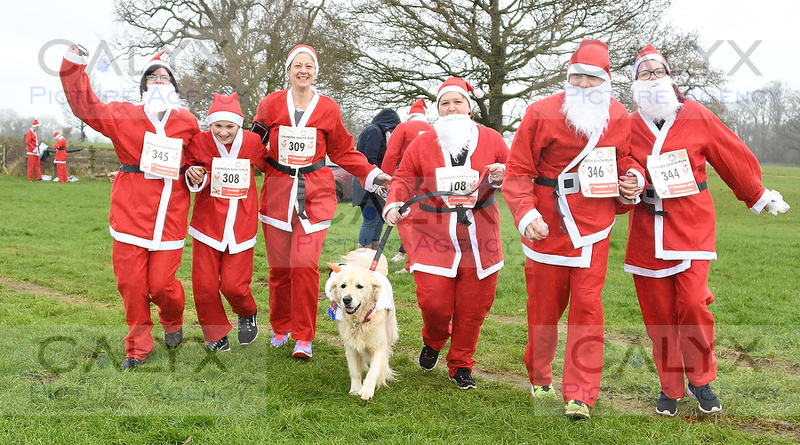 8811 ©Calyx Picture Agency Swindon Phoenix Rotary Club Santa Run Lydiard Park. 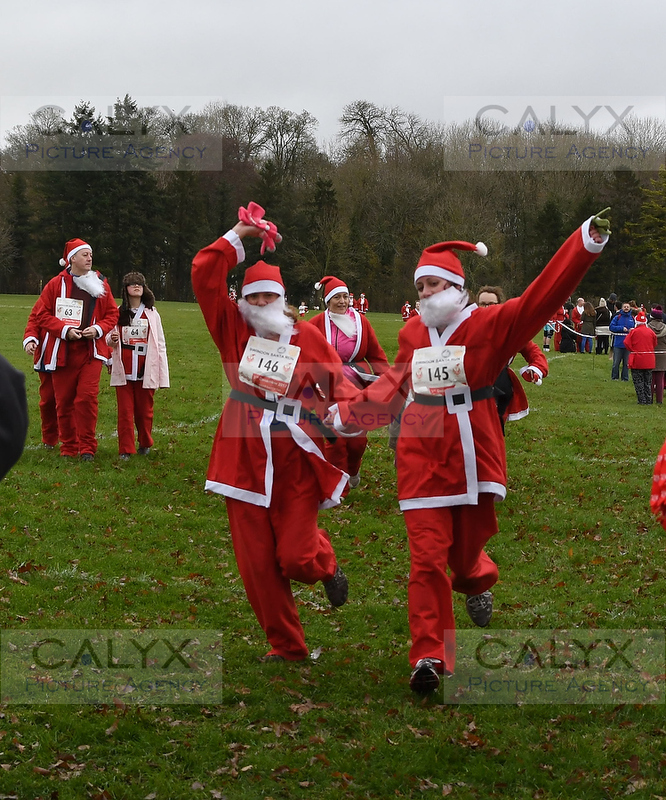 8825 ©Calyx Picture Agency Swindon Phoenix Rotary Club Santa Run Lydiard Park. 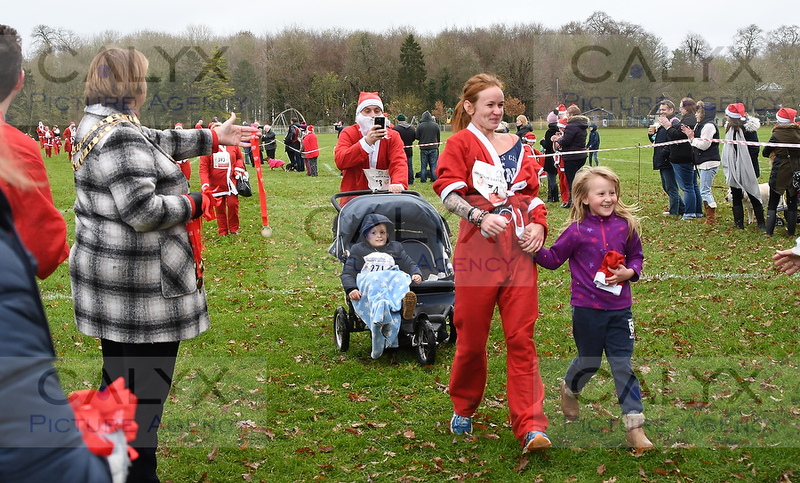 8834 ©Calyx Picture Agency Swindon Phoenix Rotary Club Santa Run Lydiard Park. 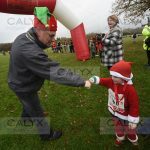 8857 ©Calyx Picture Agency Swindon Phoenix Rotary Club Santa Run Lydiard Park. 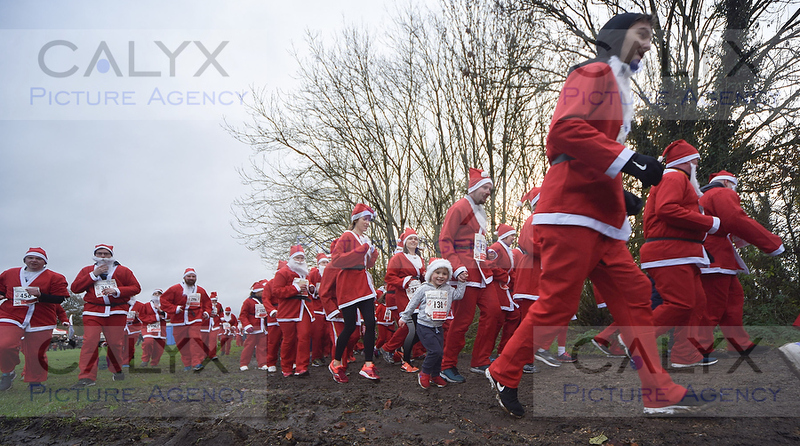 8877 ©Calyx Picture Agency Swindon Phoenix Rotary Club Santa Run Lydiard Park. 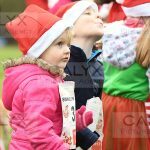 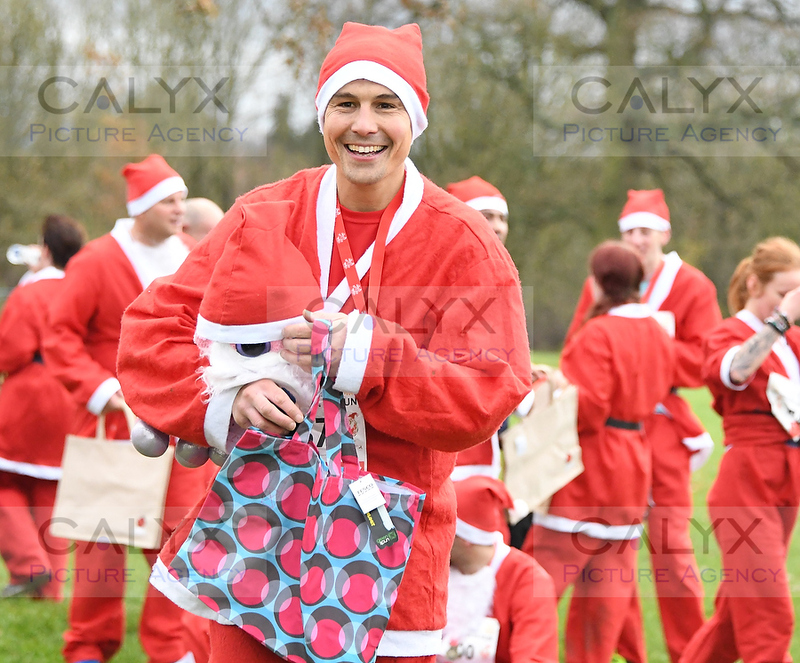 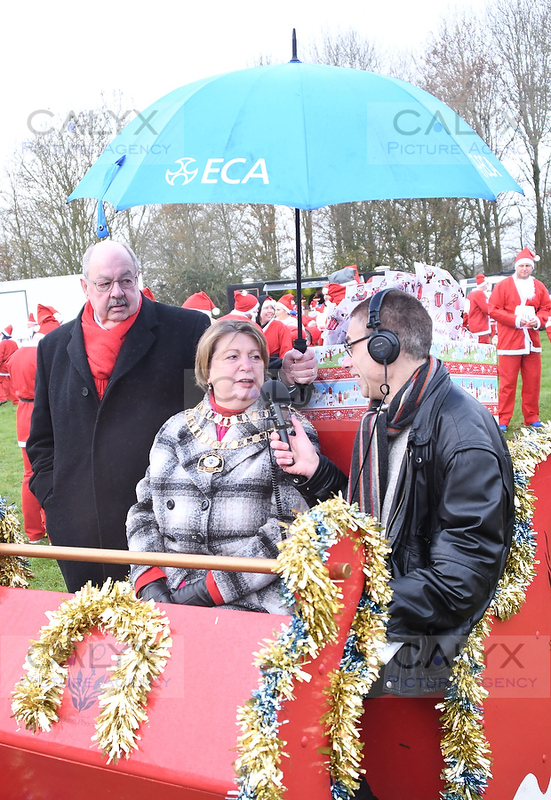 8883 ©Calyx Picture Agency Swindon Phoenix Rotary Club Santa Run Lydiard Park. 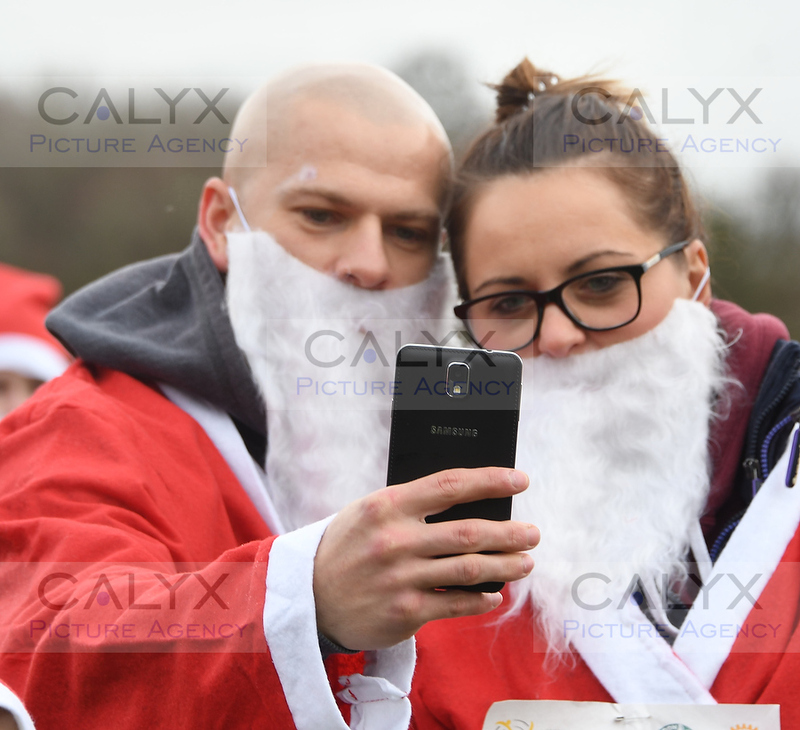 8887 ©Calyx Picture Agency Swindon Phoenix Rotary Club Santa Run Lydiard Park. 8894 ©Calyx Picture Agency Swindon Phoenix Rotary Club Santa Run Lydiard Park. 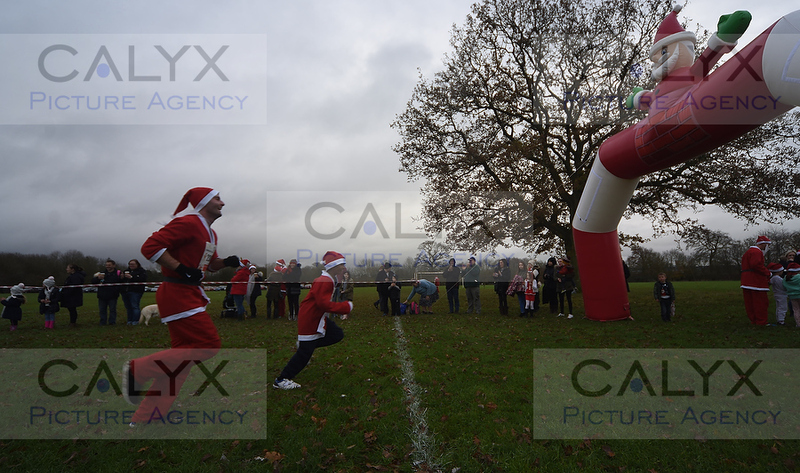 8924 ©Calyx Picture Agency Swindon Phoenix Rotary Club Santa Run Lydiard Park. 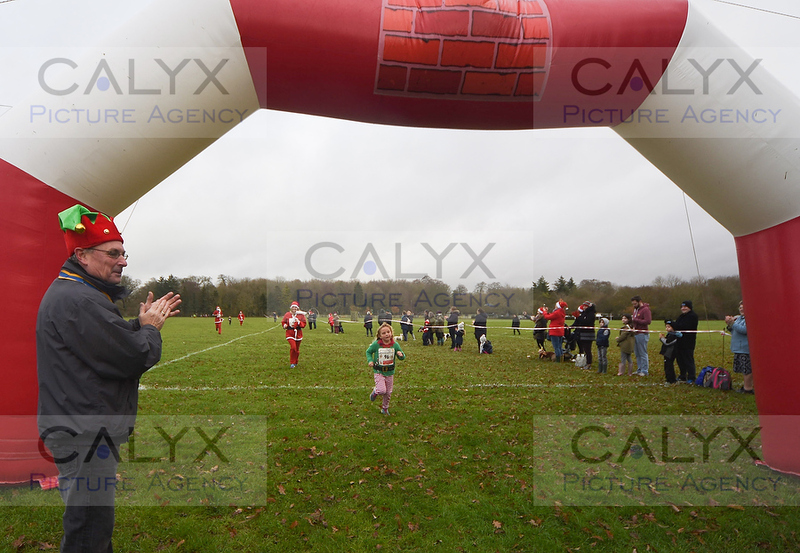 8944 ©Calyx Picture Agency Swindon Phoenix Rotary Club Santa Run Lydiard Park. 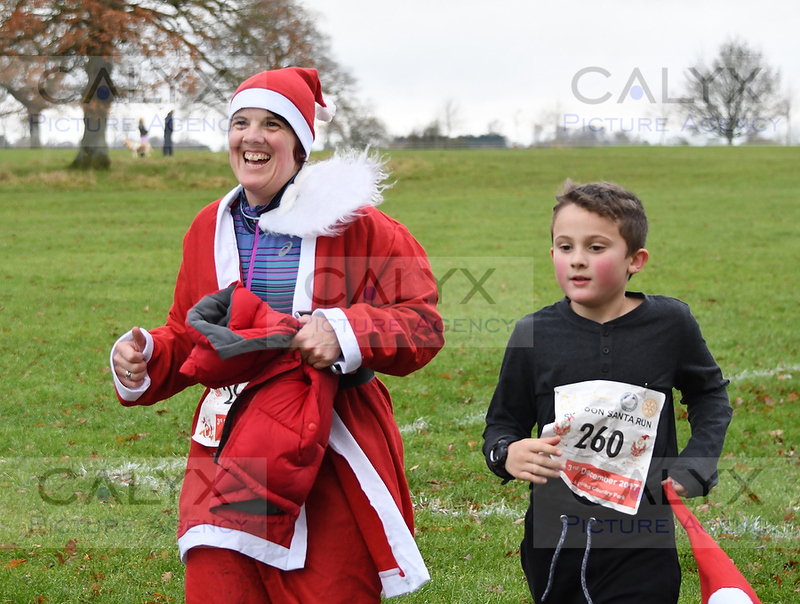 8952 ©Calyx Picture Agency Swindon Phoenix Rotary Club Santa Run Lydiard Park. 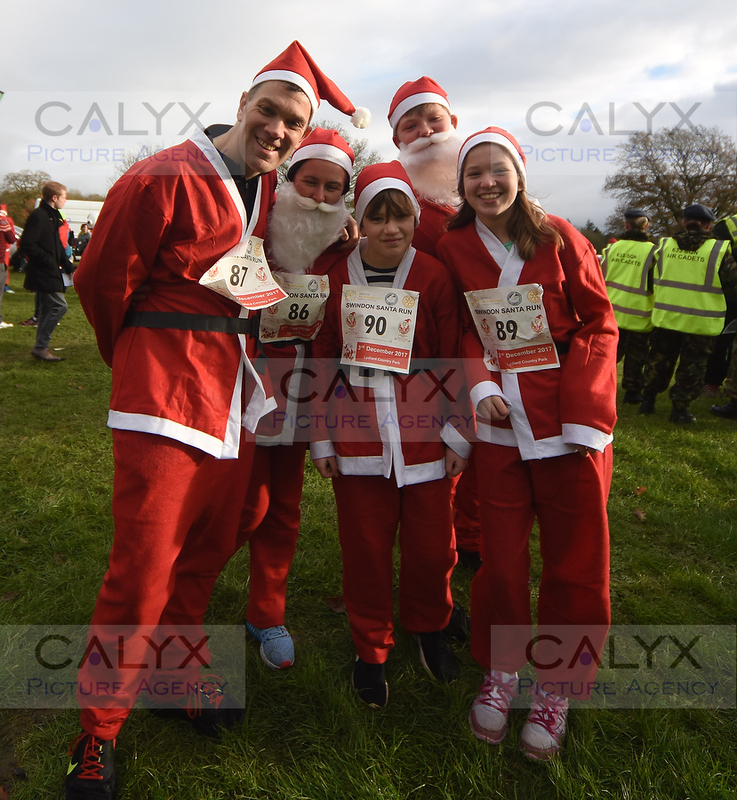 8956 ©Calyx Picture Agency Swindon Phoenix Rotary Club Santa Run Lydiard Park. 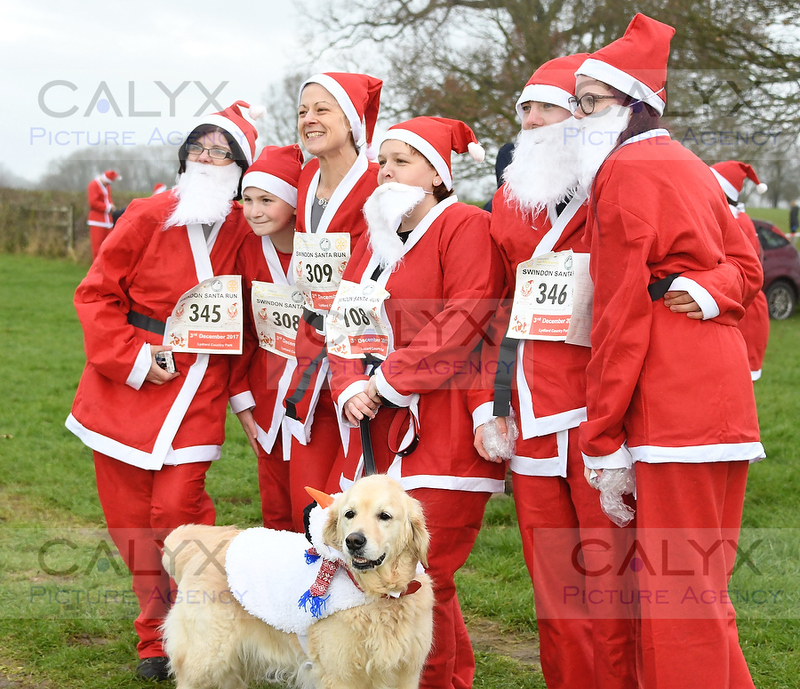 8962 ©Calyx Picture Agency Swindon Phoenix Rotary Club Santa Run Lydiard Park. 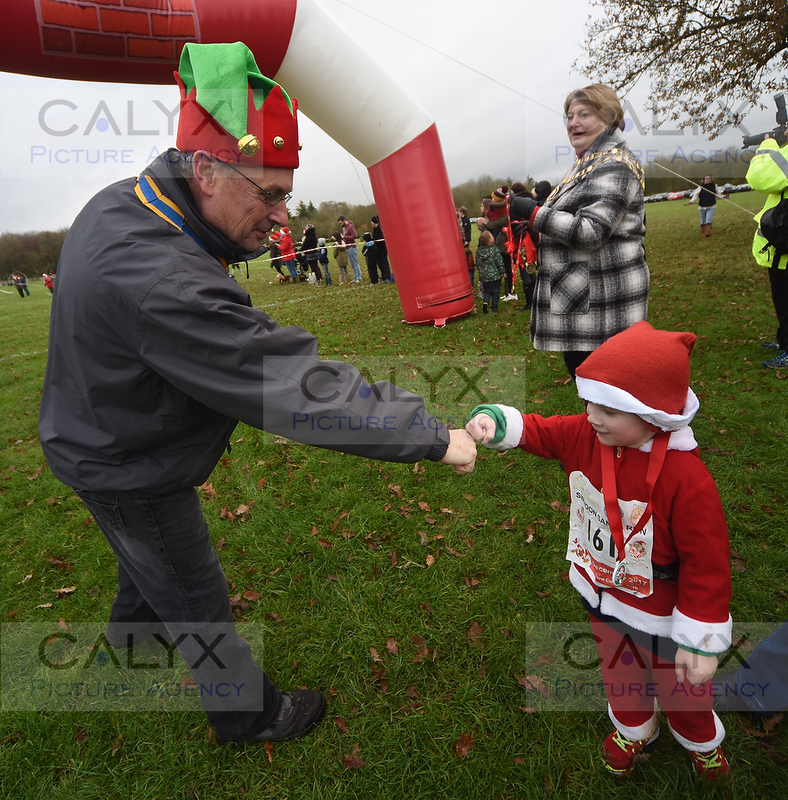 8965 ©Calyx Picture Agency Swindon Phoenix Rotary Club Santa Run Lydiard Park. 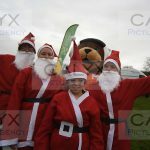 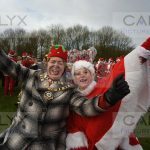 8978 ©Calyx Picture Agency Swindon Phoenix Rotary Club Santa Run Lydiard Park. 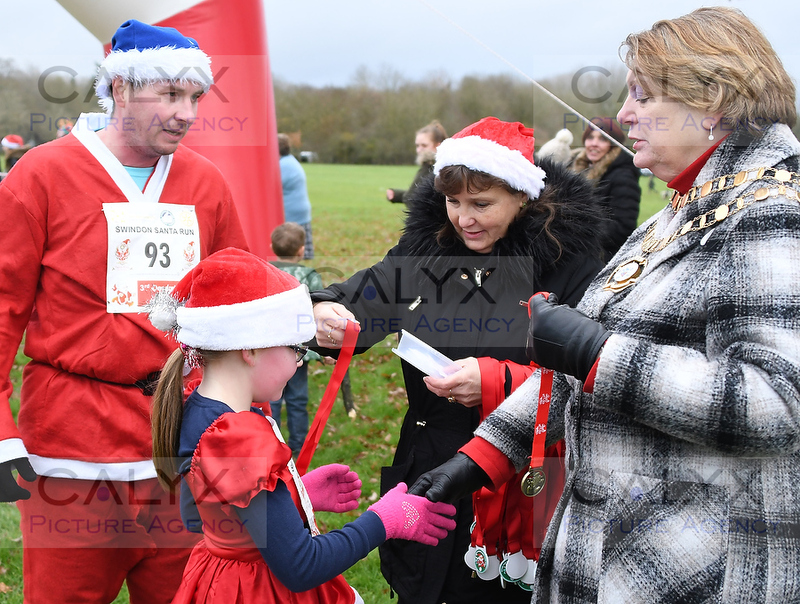 8982 ©Calyx Picture Agency Swindon Phoenix Rotary Club Santa Run Lydiard Park. 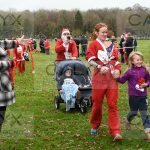 8985 ©Calyx Picture Agency Swindon Phoenix Rotary Club Santa Run Lydiard Park. 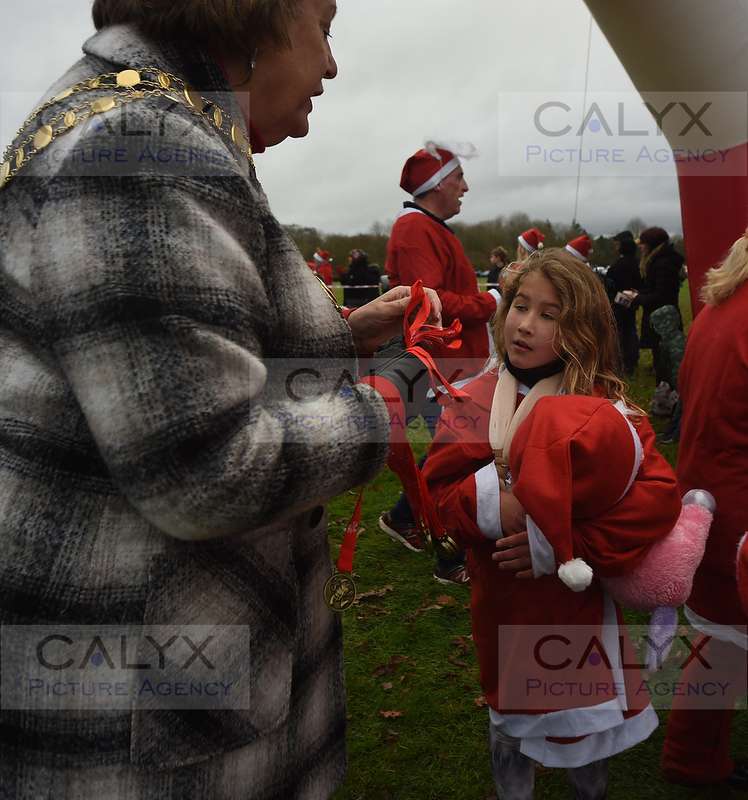 8989 ©Calyx Picture Agency Swindon Phoenix Rotary Club Santa Run Lydiard Park. 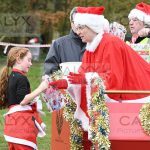 8994 ©Calyx Picture Agency Swindon Phoenix Rotary Club Santa Run Lydiard Park. 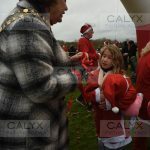 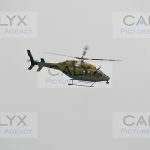 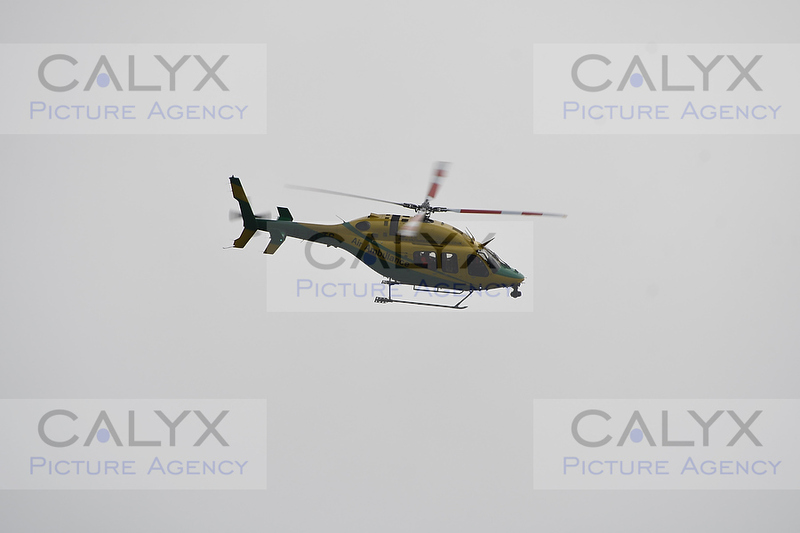 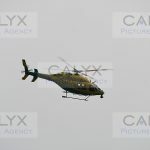 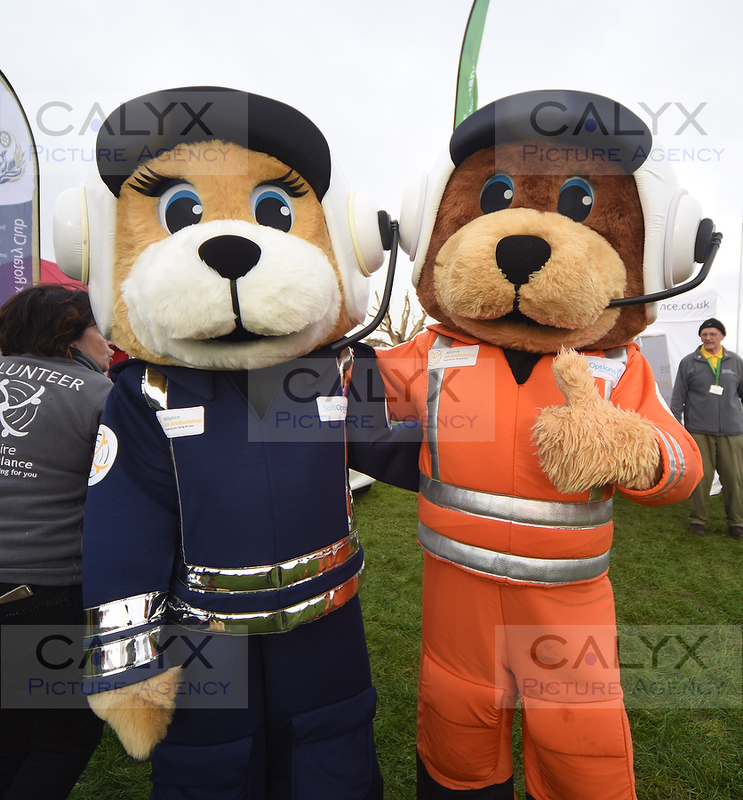 9000 ©Calyx Picture Agency Swindon Phoenix Rotary Club Santa Run Lydiard Park. 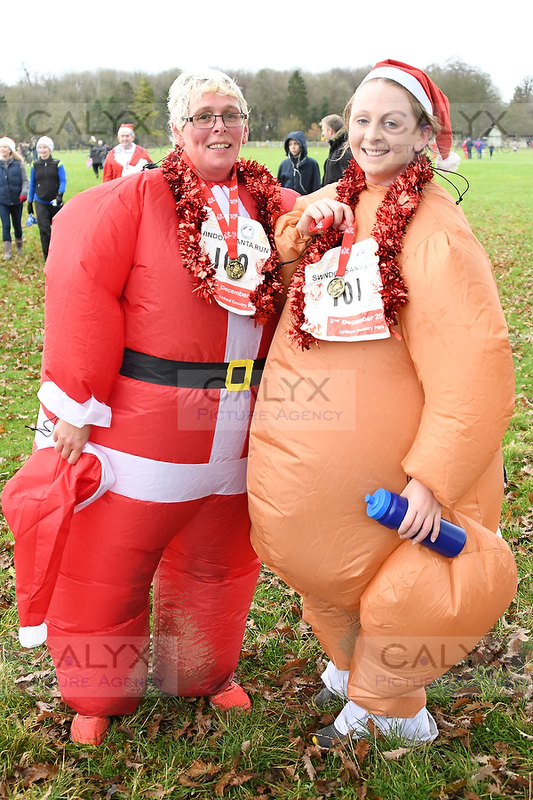 9007 ©Calyx Picture Agency Swindon Phoenix Rotary Club Santa Run Lydiard Park. 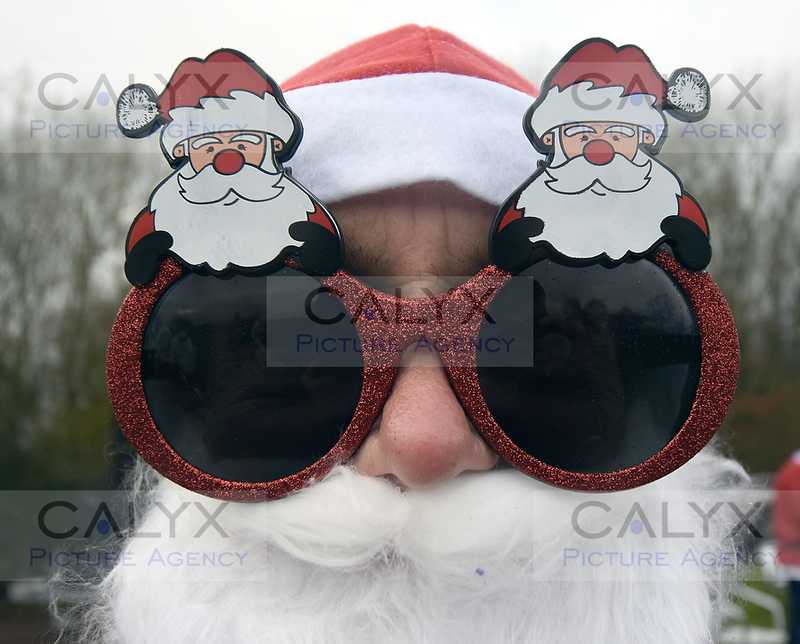 9015 ©Calyx Picture Agency Swindon Phoenix Rotary Club Santa Run Lydiard Park. 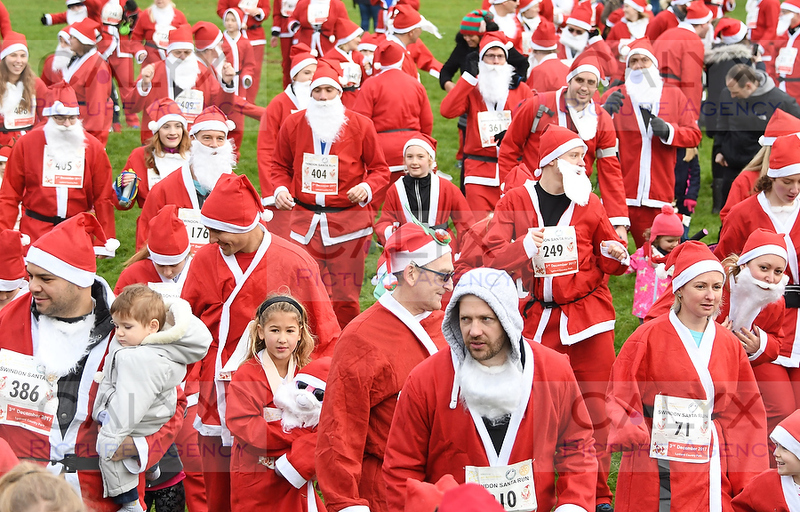 9023 ©Calyx Picture Agency Swindon Phoenix Rotary Club Santa Run Lydiard Park. 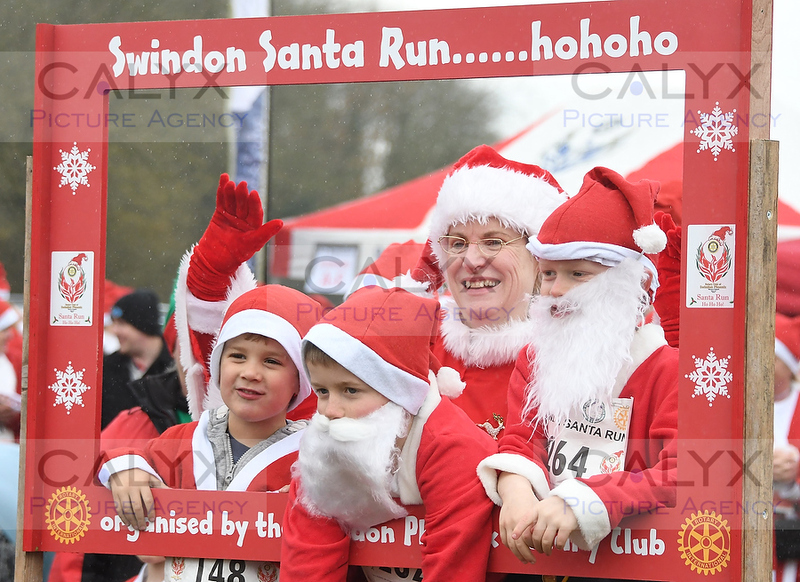 9031 ©Calyx Picture Agency Swindon Phoenix Rotary Club Santa Run Lydiard Park. 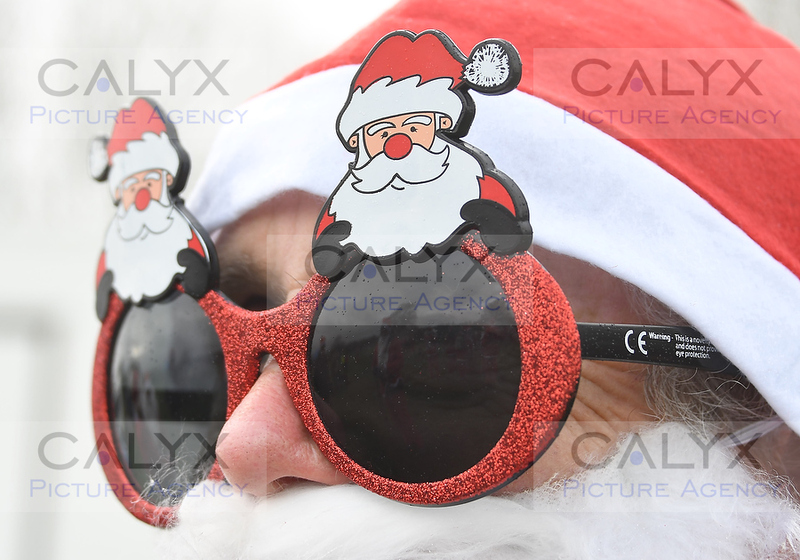 9035 ©Calyx Picture Agency Swindon Phoenix Rotary Club Santa Run Lydiard Park. 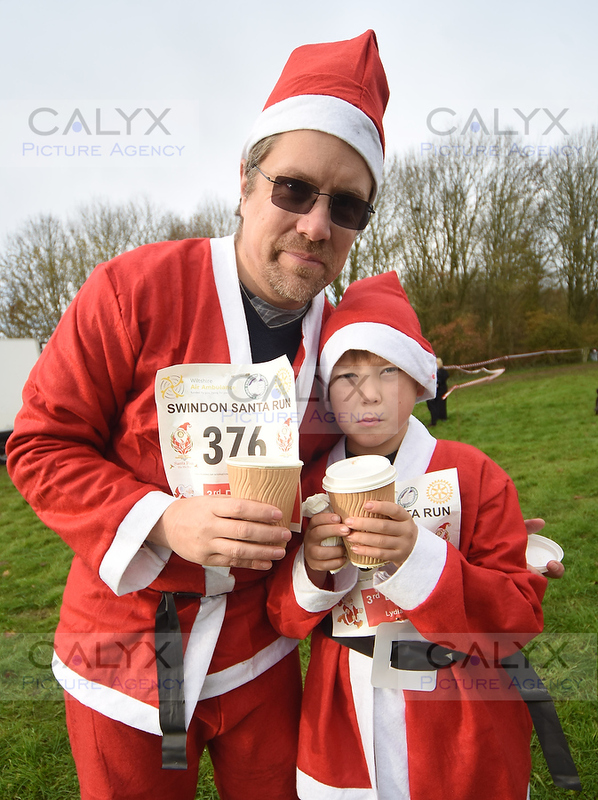 9056 ©Calyx Picture Agency Swindon Phoenix Rotary Club Santa Run Lydiard Park. 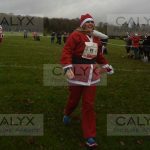 9074 ©Calyx Picture Agency Swindon Phoenix Rotary Club Santa Run Lydiard Park. 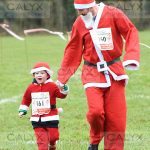 9075 ©Calyx Picture Agency Swindon Phoenix Rotary Club Santa Run Lydiard Park. 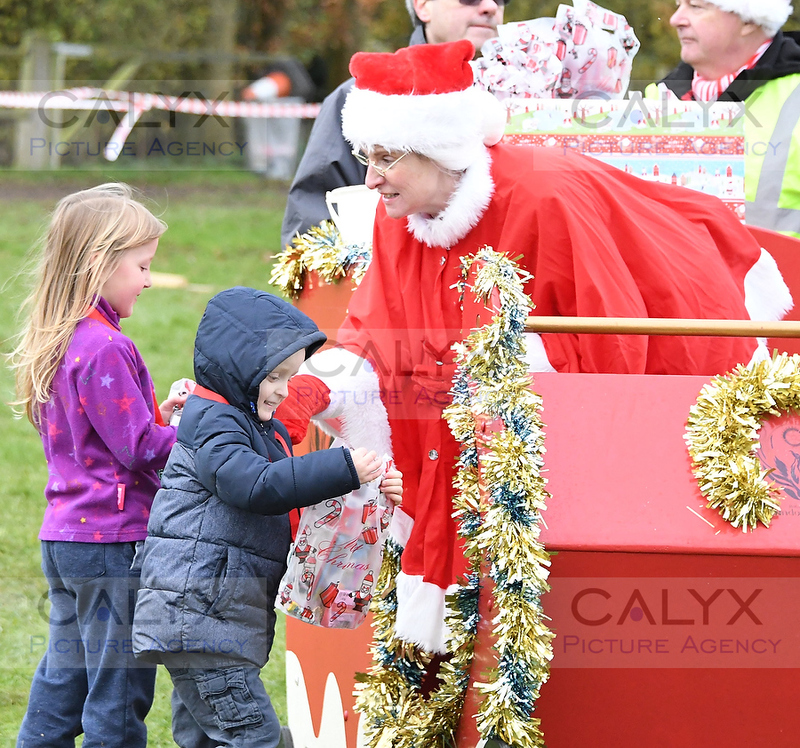 9089 ©Calyx Picture Agency Swindon Phoenix Rotary Club Santa Run Lydiard Park. 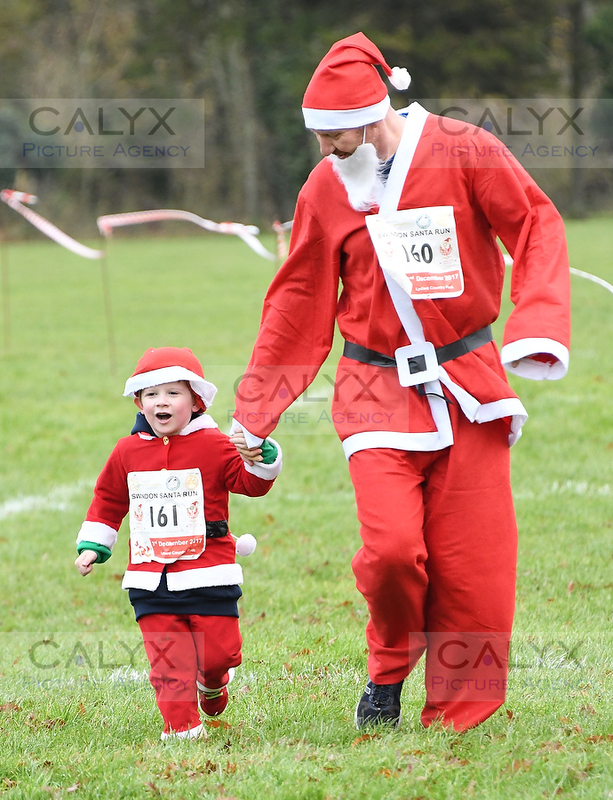 9094 ©Calyx Picture Agency Swindon Phoenix Rotary Club Santa Run Lydiard Park. 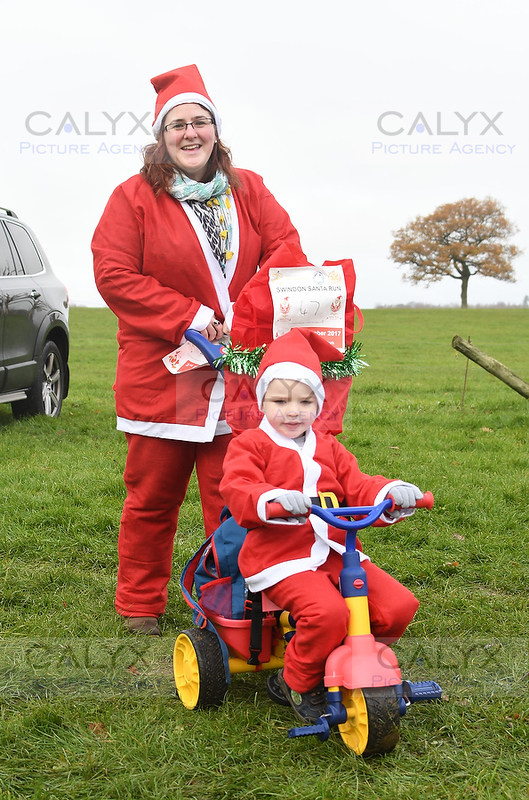 9102 ©Calyx Picture Agency Swindon Phoenix Rotary Club Santa Run Lydiard Park. 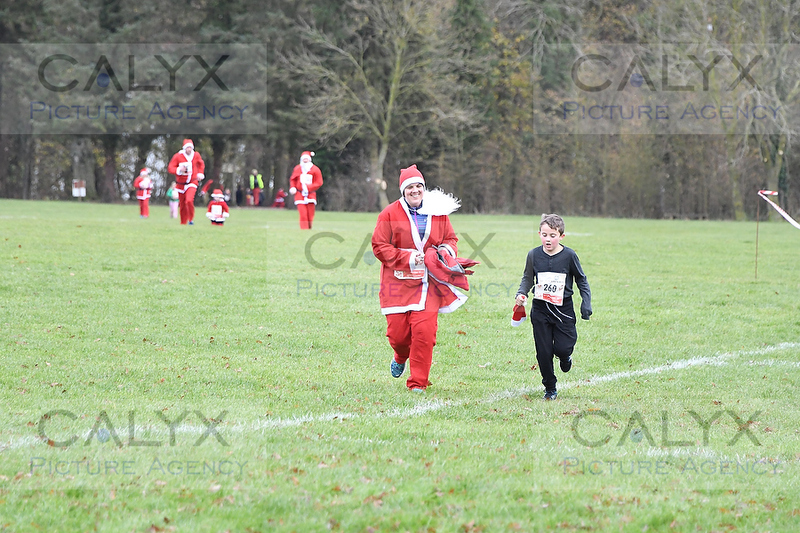 9109 ©Calyx Picture Agency Swindon Phoenix Rotary Club Santa Run Lydiard Park. 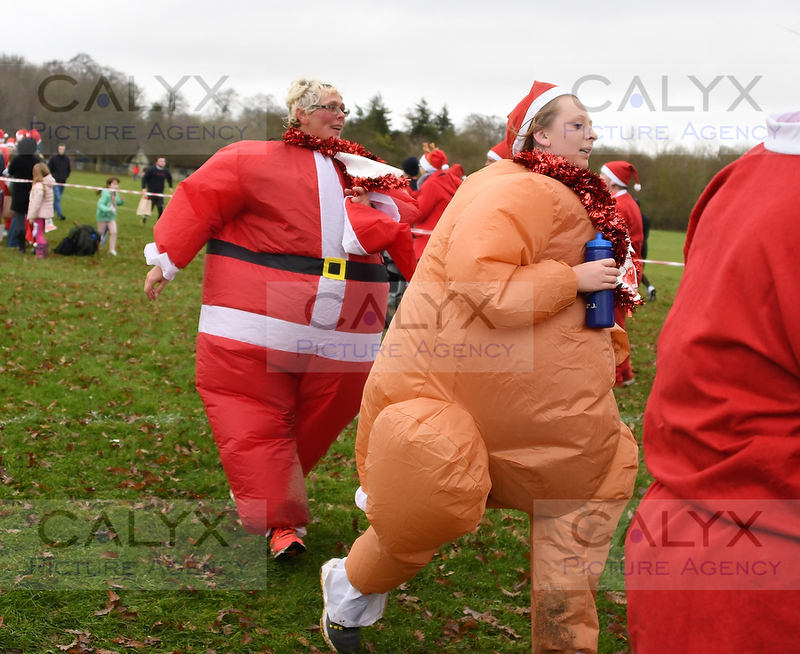 9114 ©Calyx Picture Agency Swindon Phoenix Rotary Club Santa Run Lydiard Park. 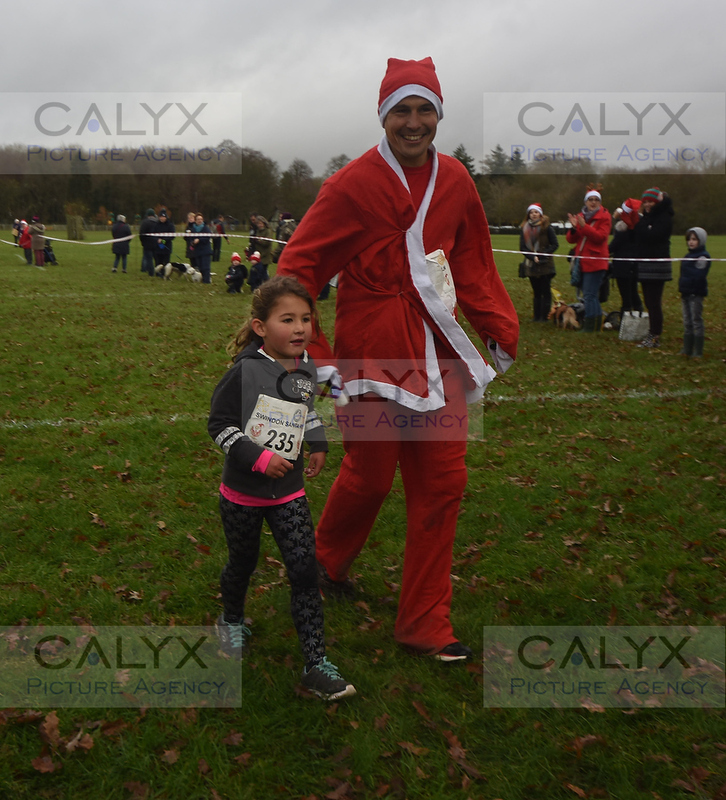 9142 ©Calyx Picture Agency Swindon Phoenix Rotary Club Santa Run Lydiard Park. 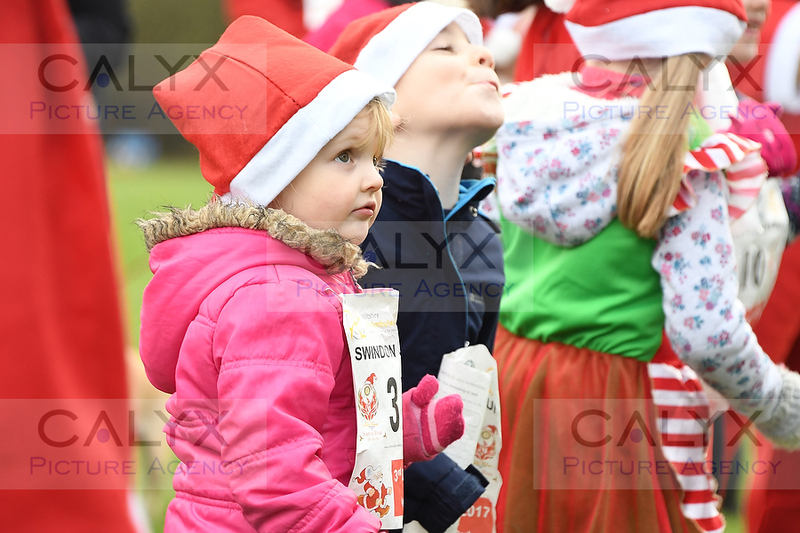 9155 ©Calyx Picture Agency Swindon Phoenix Rotary Club Santa Run Lydiard Park. 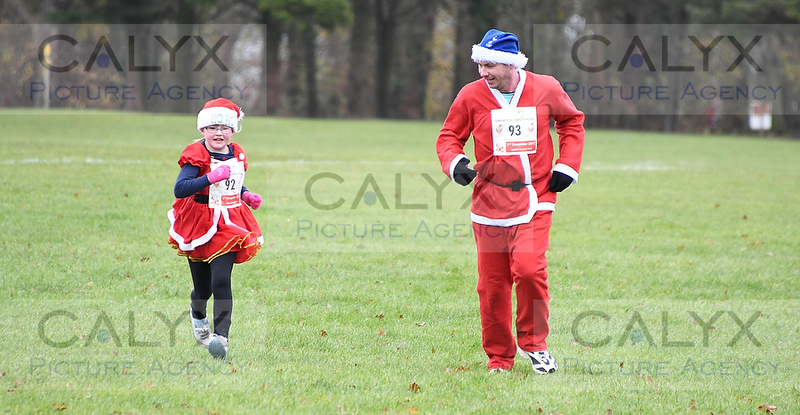 9162 ©Calyx Picture Agency Swindon Phoenix Rotary Club Santa Run Lydiard Park. 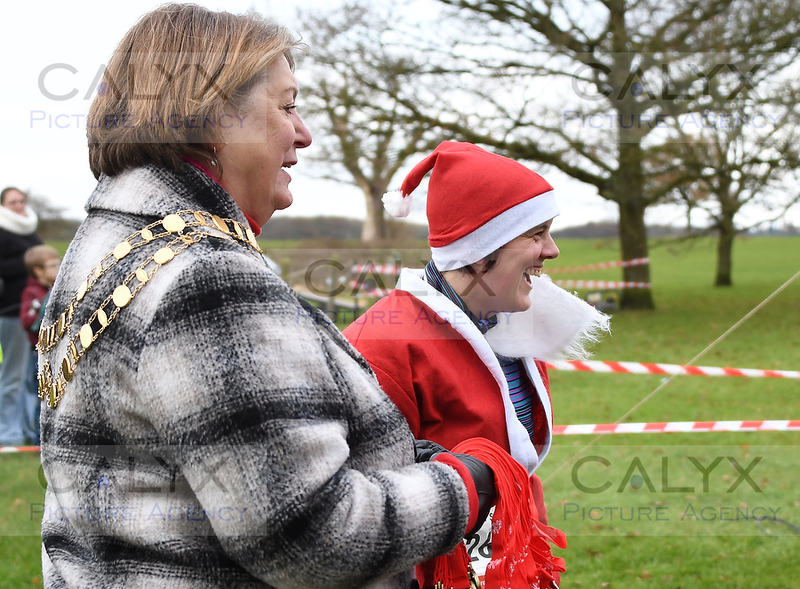 9176 ©Calyx Picture Agency Swindon Phoenix Rotary Club Santa Run Lydiard Park. 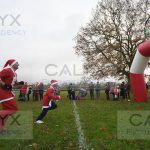 9191 ©Calyx Picture Agency Swindon Phoenix Rotary Club Santa Run Lydiard Park. 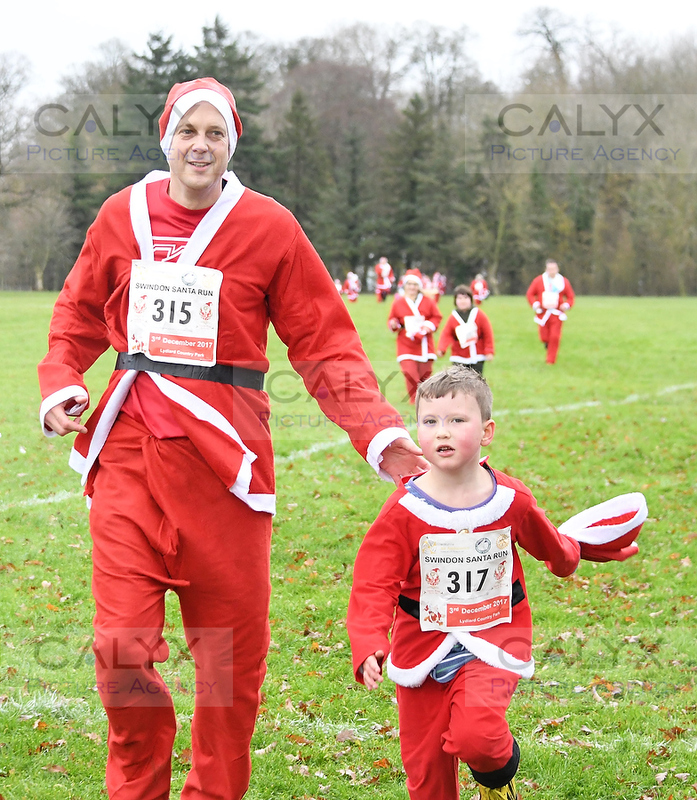 9200 ©Calyx Picture Agency Swindon Phoenix Rotary Club Santa Run Lydiard Park. 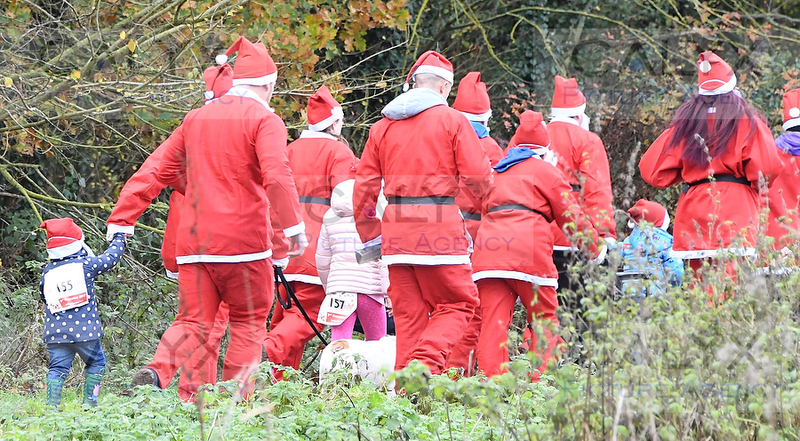 9206 ©Calyx Picture Agency Swindon Phoenix Rotary Club Santa Run Lydiard Park. 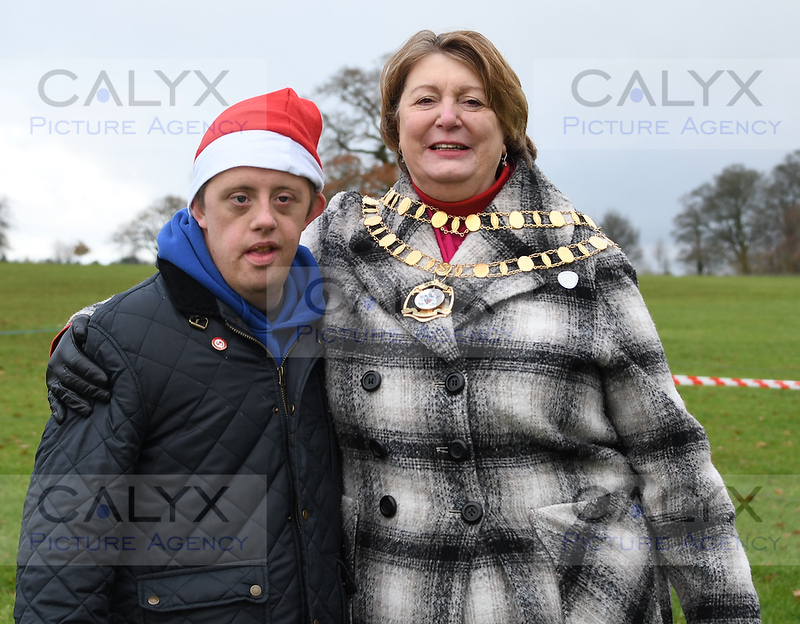 9224 ©Calyx Picture Agency Swindon Phoenix Rotary Club Santa Run Lydiard Park. 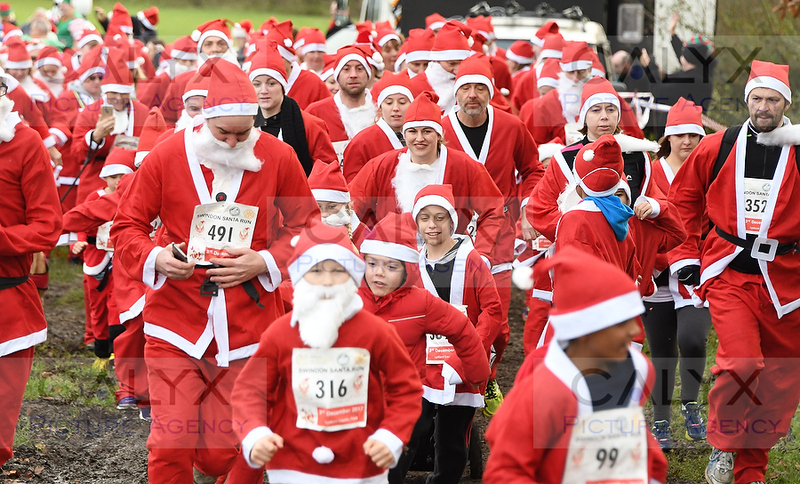 9233 ©Calyx Picture Agency Swindon Phoenix Rotary Club Santa Run Lydiard Park. 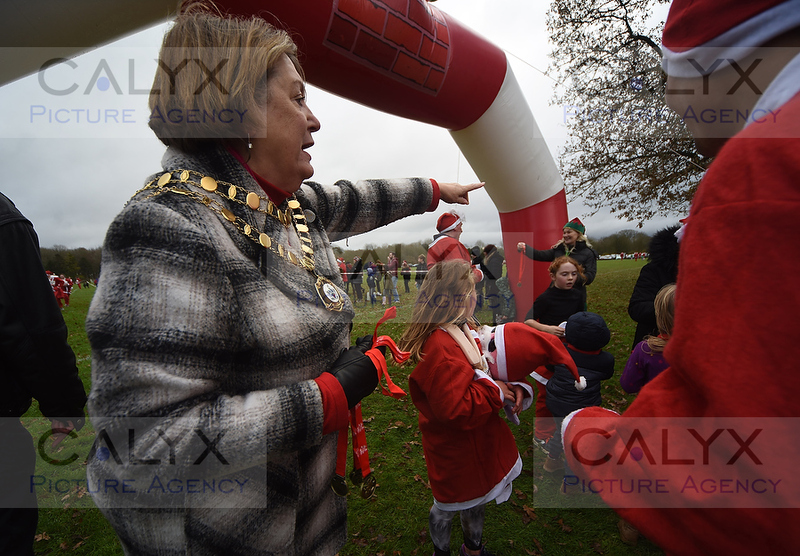 9236 ©Calyx Picture Agency Swindon Phoenix Rotary Club Santa Run Lydiard Park. 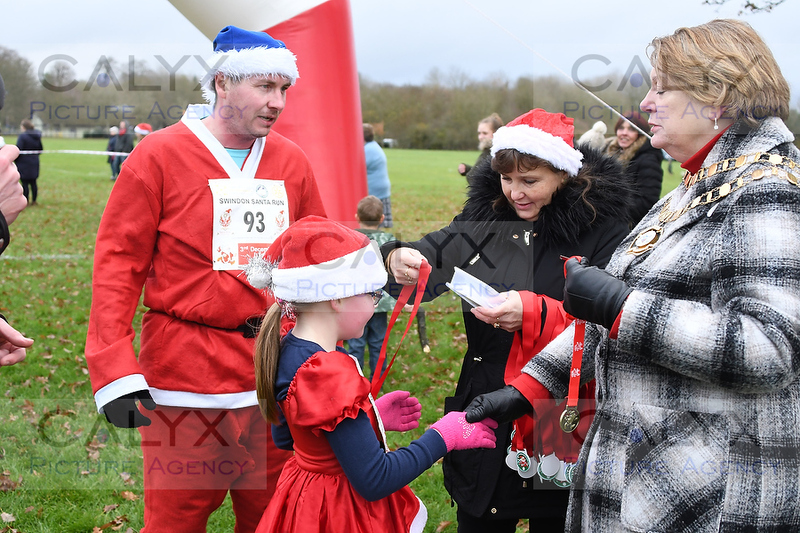 9241 ©Calyx Picture Agency Swindon Phoenix Rotary Club Santa Run Lydiard Park. 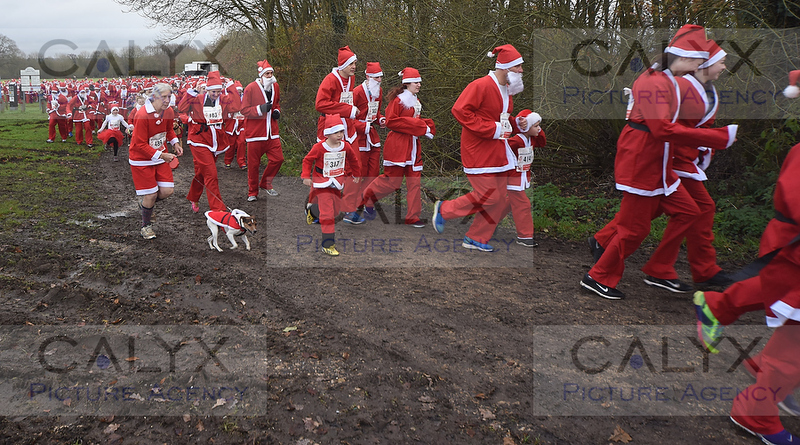 9247 ©Calyx Picture Agency Swindon Phoenix Rotary Club Santa Run Lydiard Park. 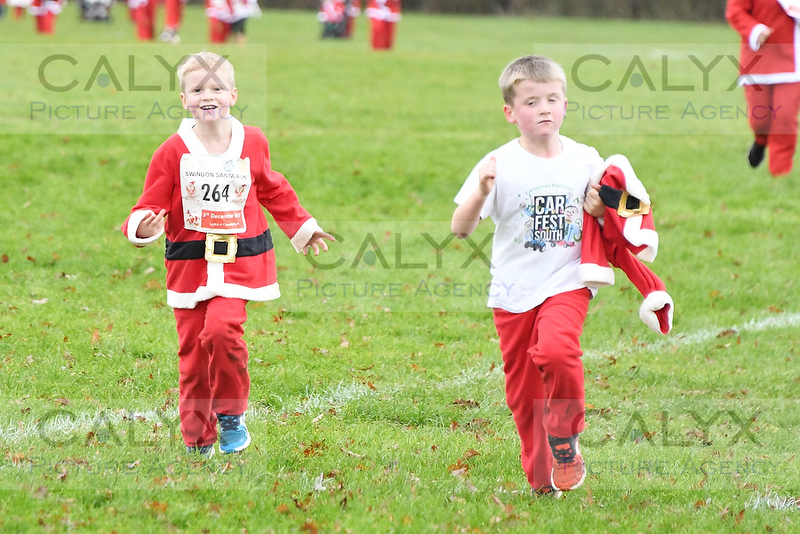 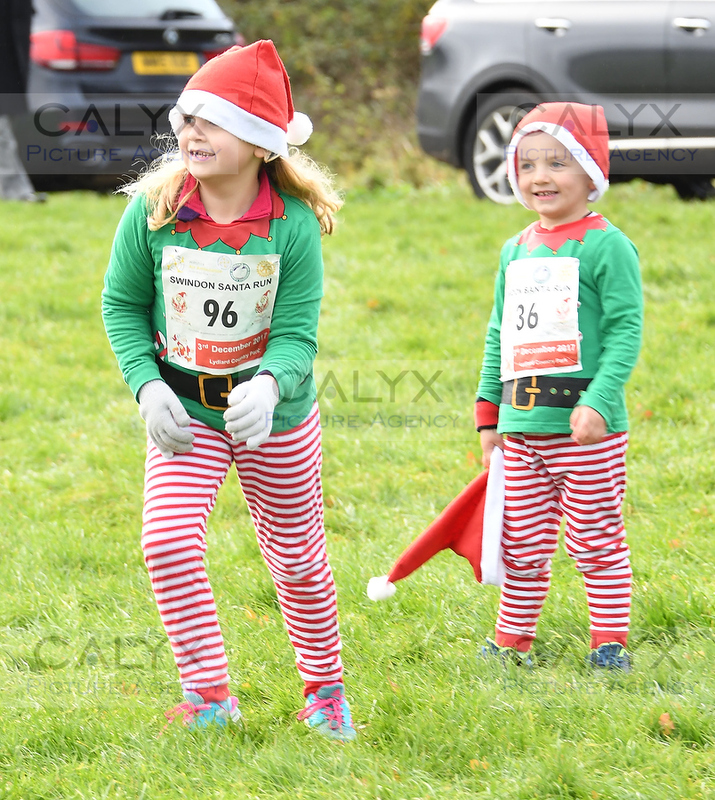 9255 ©Calyx Picture Agency Swindon Phoenix Rotary Club Santa Run Lydiard Park. 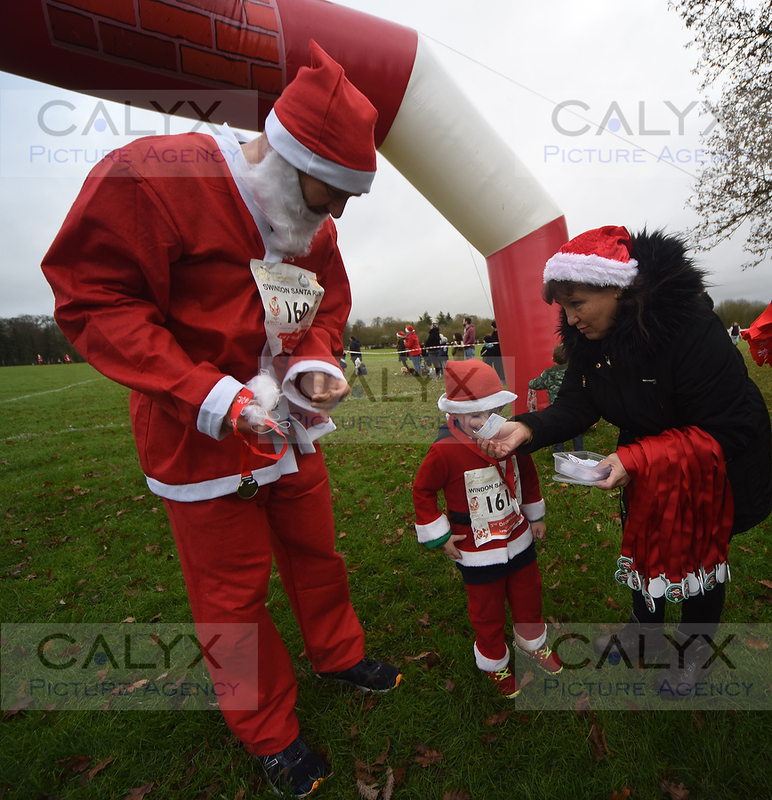 9258 ©Calyx Picture Agency Swindon Phoenix Rotary Club Santa Run Lydiard Park. 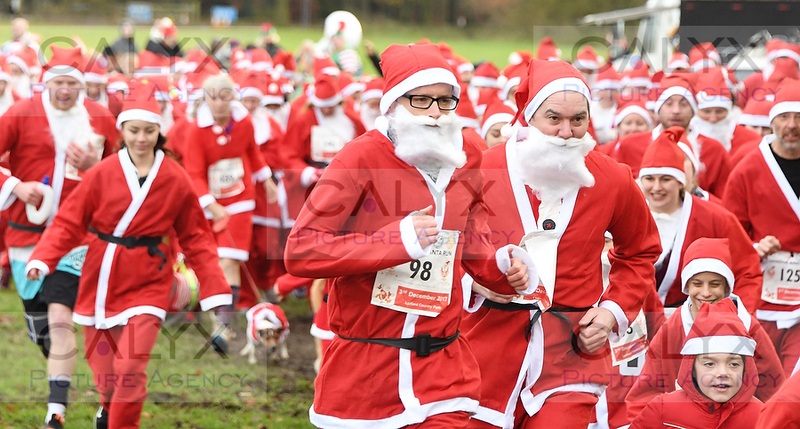 9272 ©Calyx Picture Agency Swindon Phoenix Rotary Club Santa Run Lydiard Park. 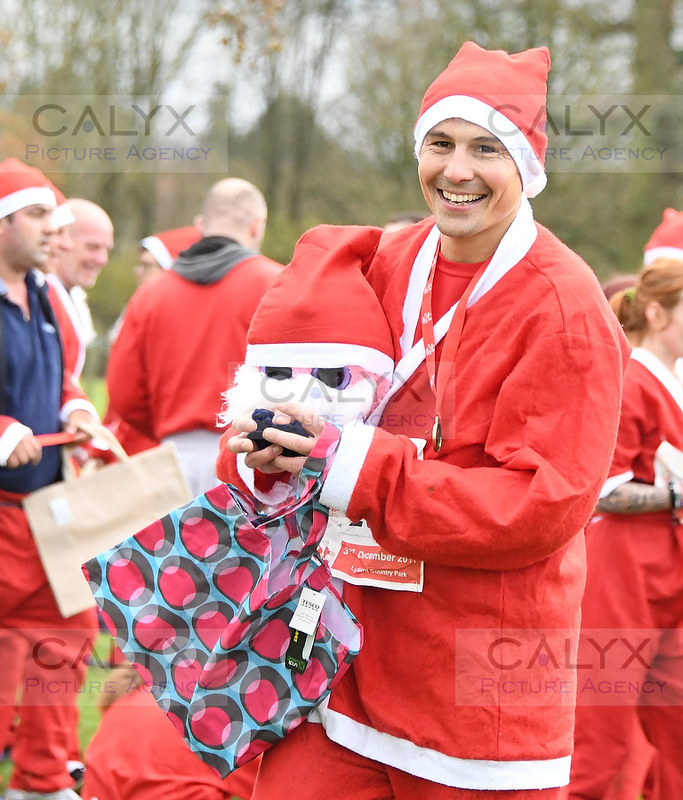 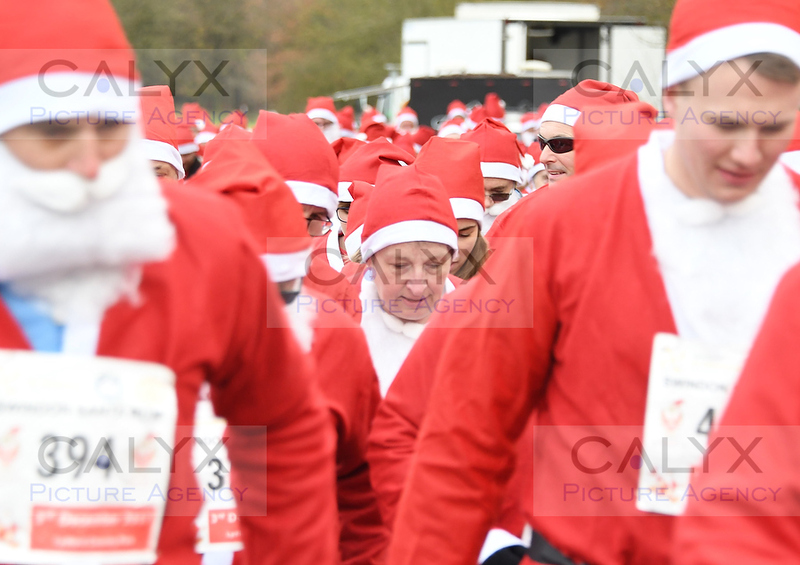 9276 ©Calyx Picture Agency Swindon Phoenix Rotary Club Santa Run Lydiard Park. 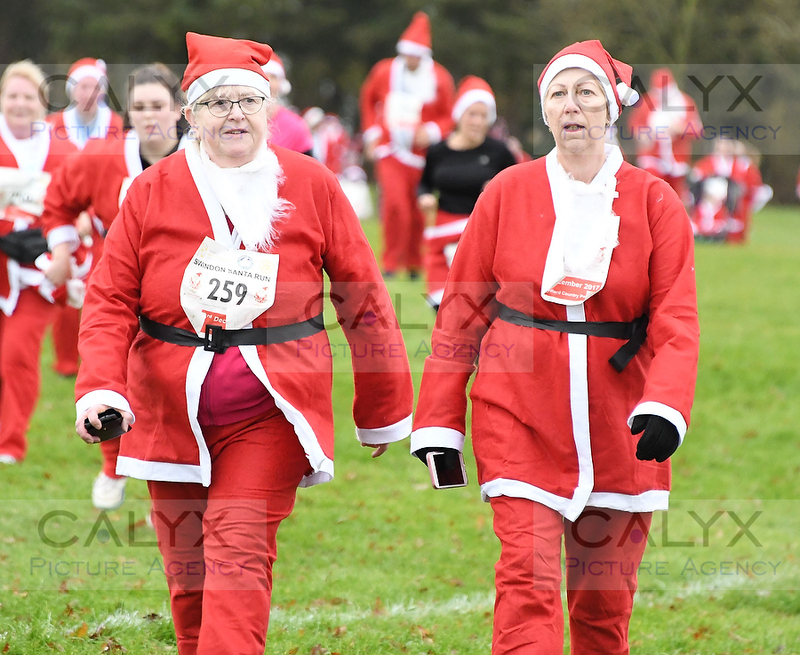 9281 ©Calyx Picture Agency Swindon Phoenix Rotary Club Santa Run Lydiard Park. 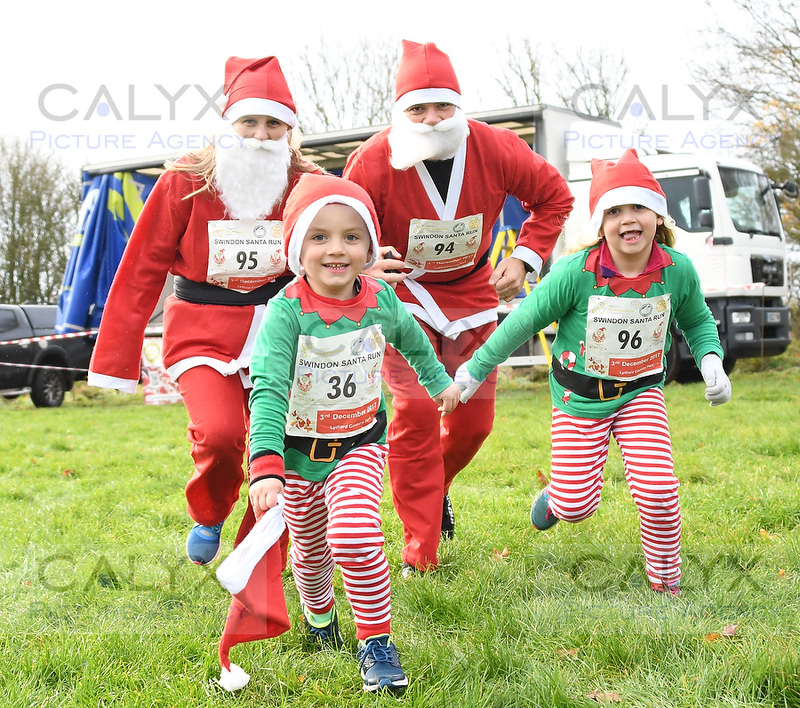 9291 ©Calyx Picture Agency Swindon Phoenix Rotary Club Santa Run Lydiard Park. 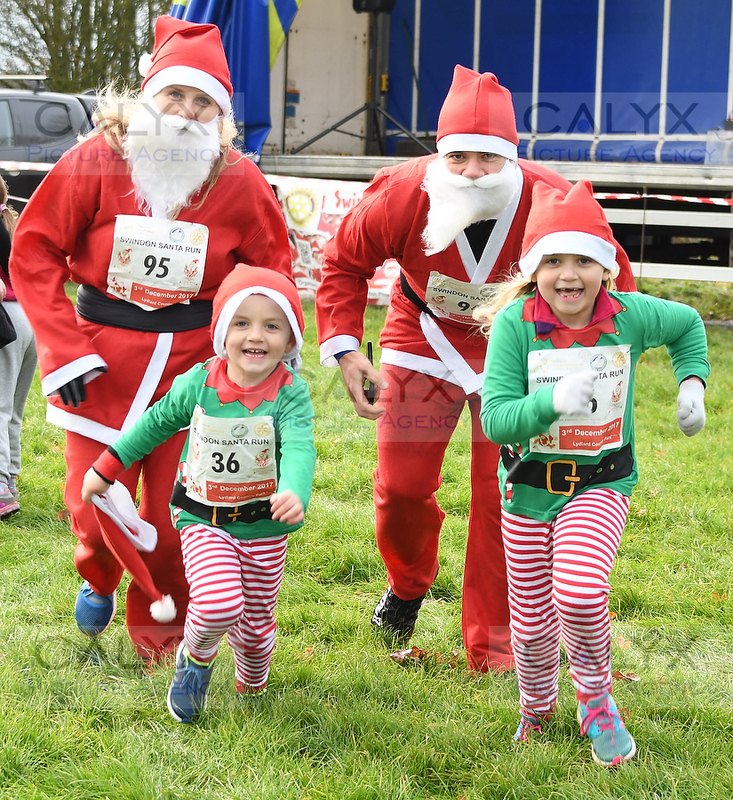 9303 ©Calyx Picture Agency Swindon Phoenix Rotary Club Santa Run Lydiard Park. 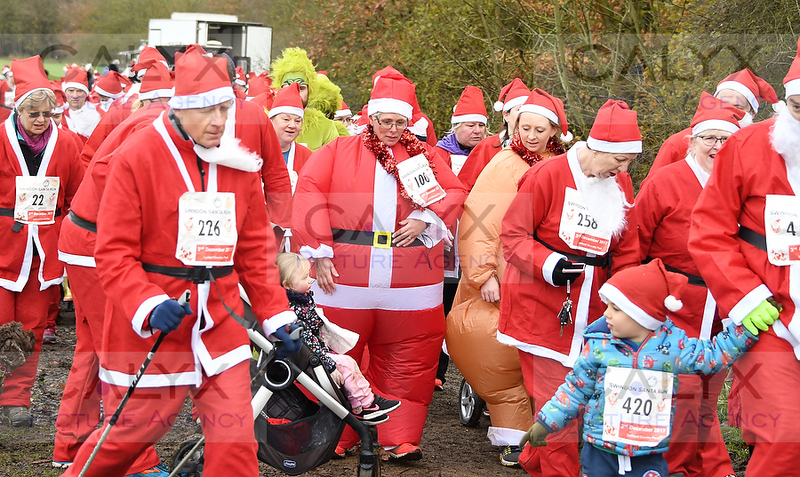 9312 ©Calyx Picture Agency Swindon Phoenix Rotary Club Santa Run Lydiard Park. 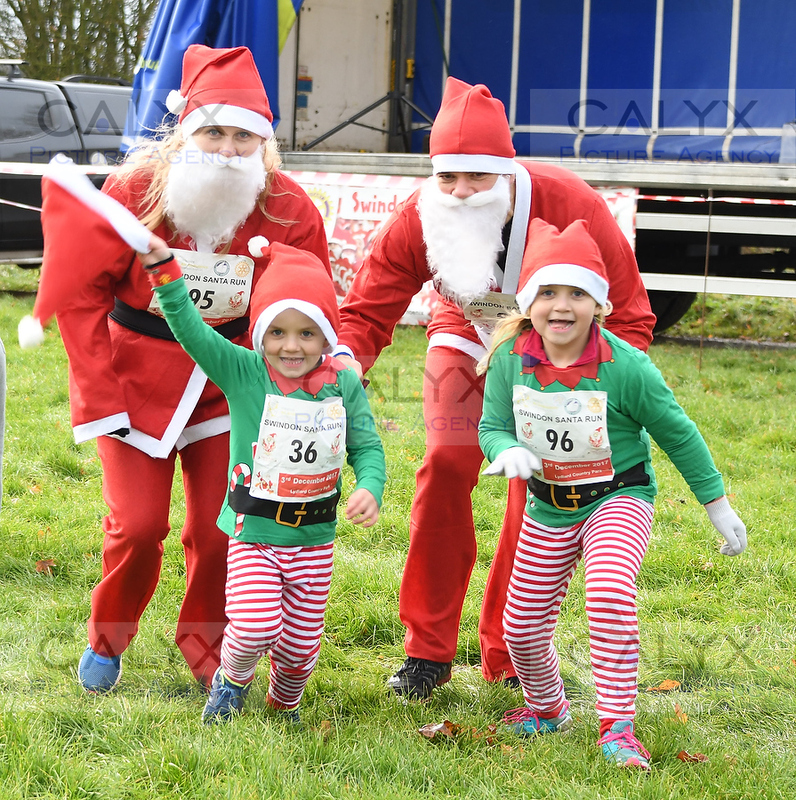 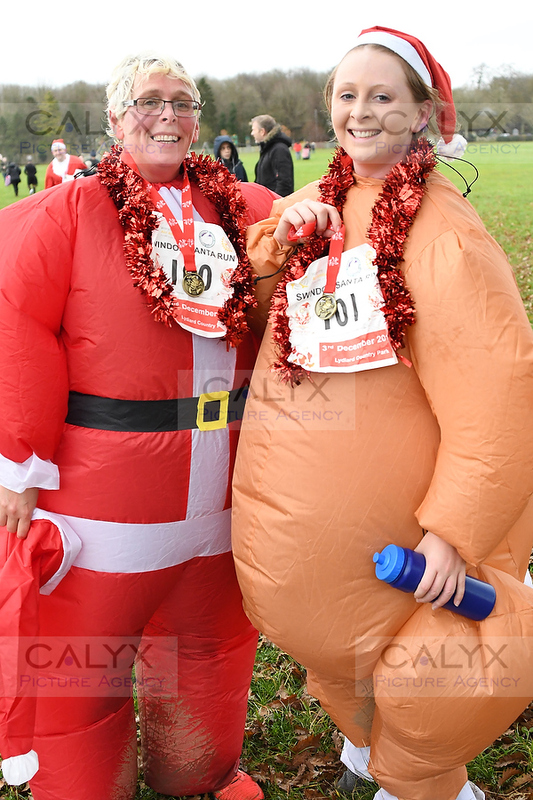 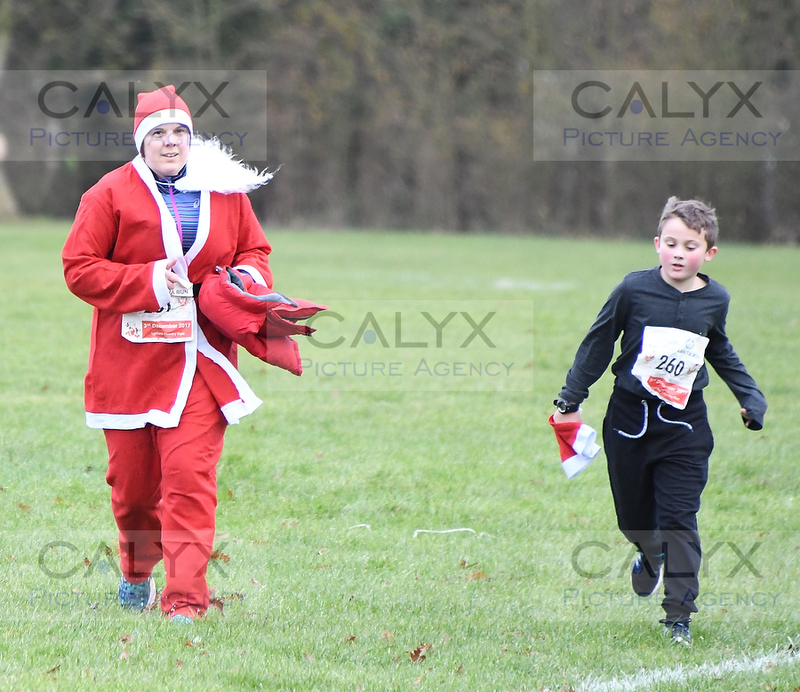 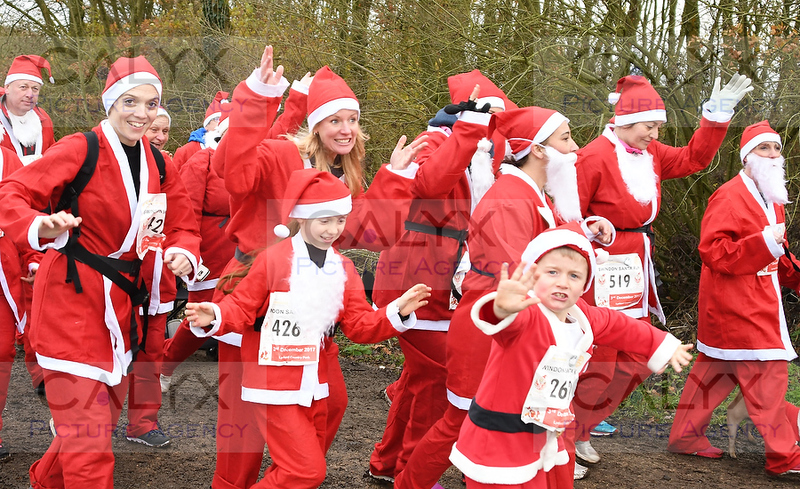 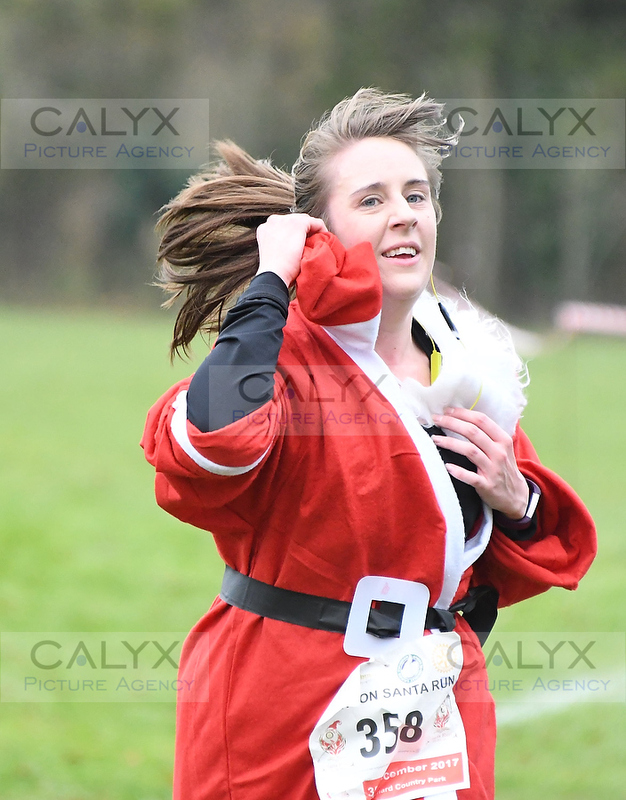 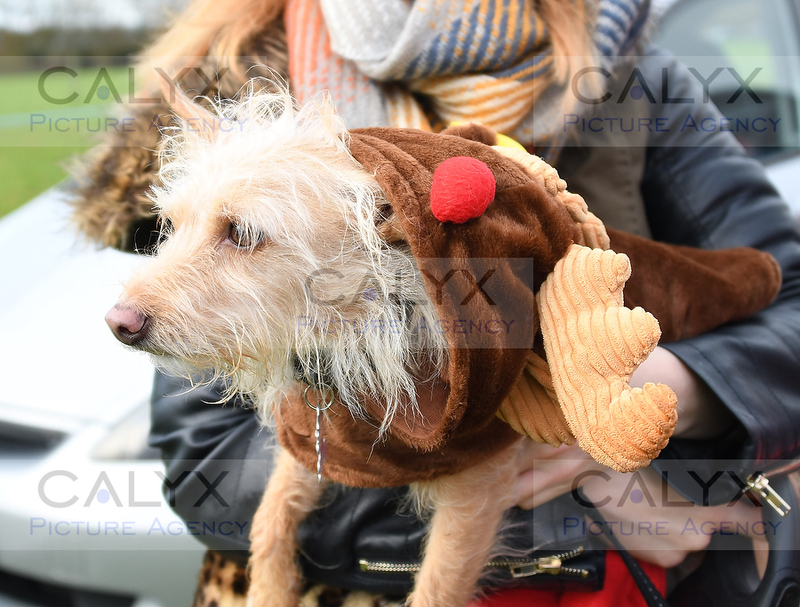 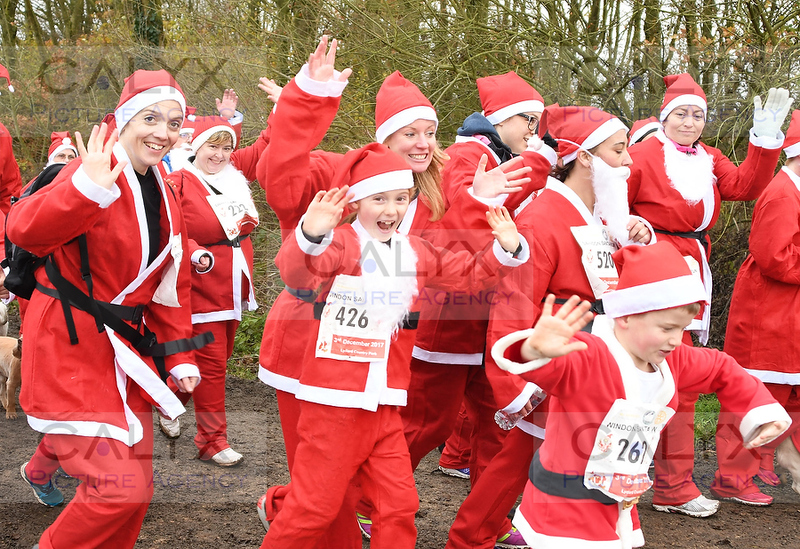 9325 ©Calyx Picture Agency Swindon Phoenix Rotary Club Santa Run Lydiard Park. 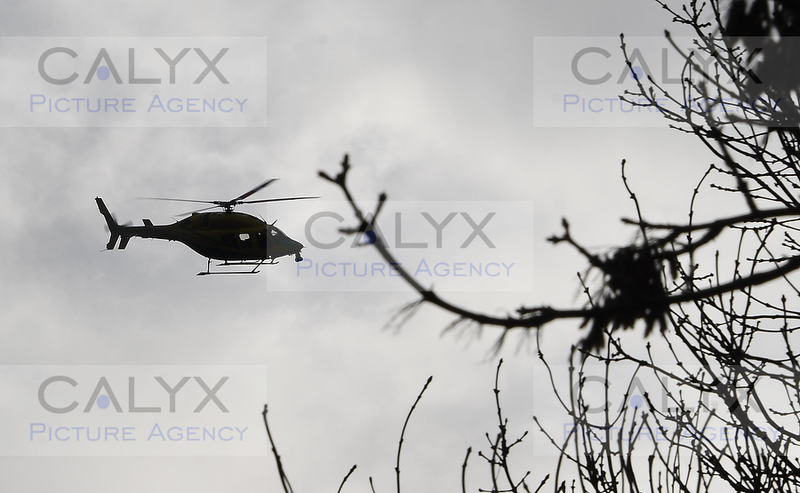 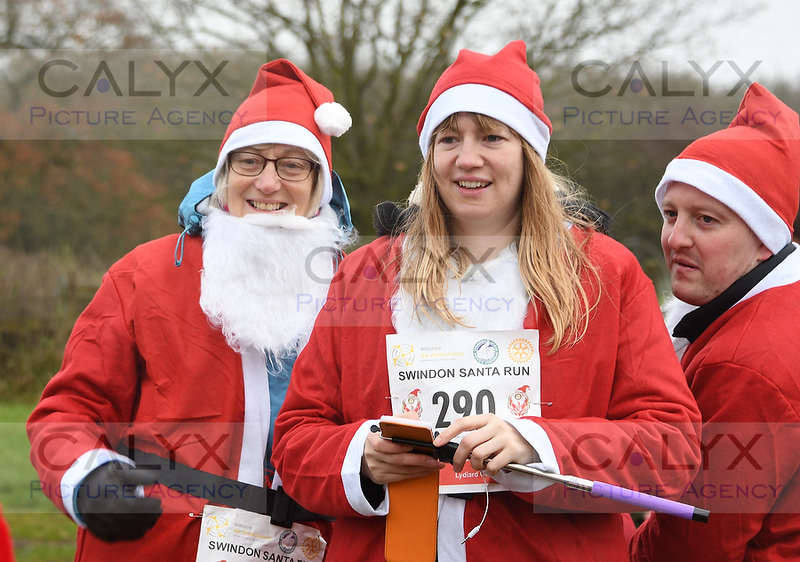 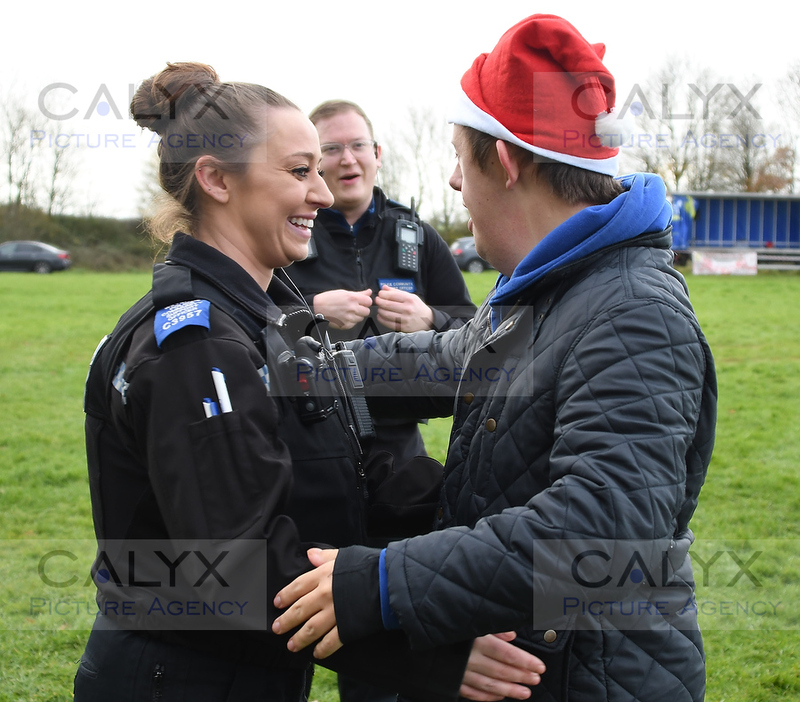 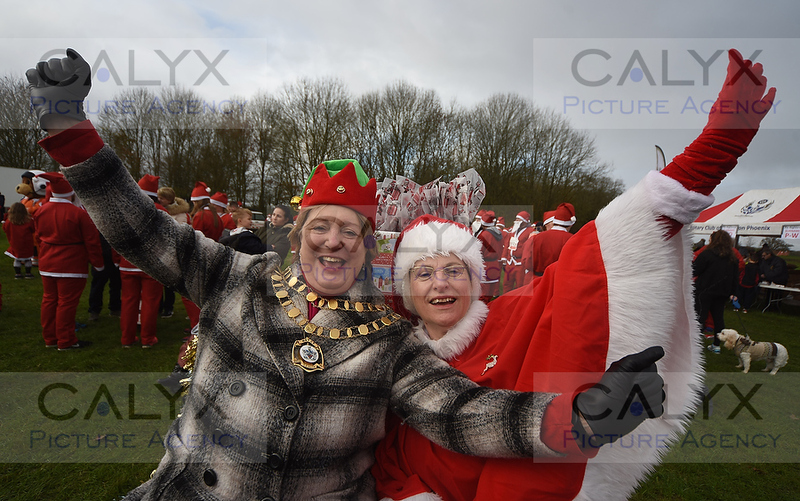 9336 ©Calyx Picture Agency Swindon Phoenix Rotary Club Santa Run Lydiard Park. 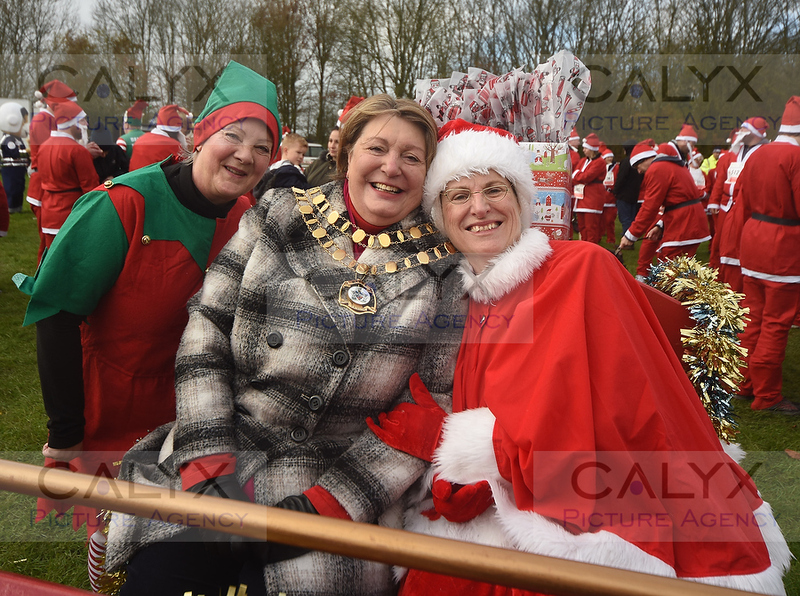 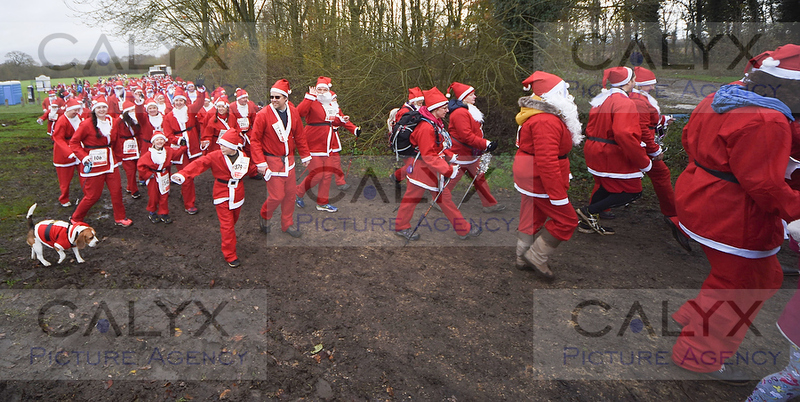 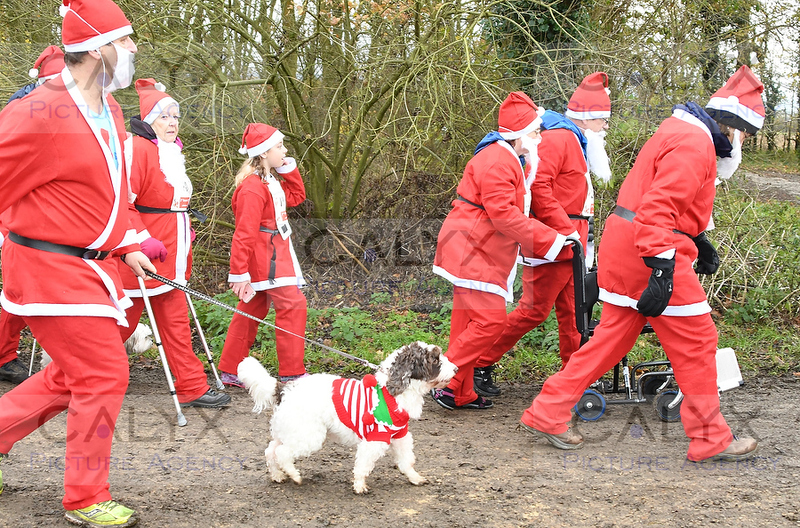 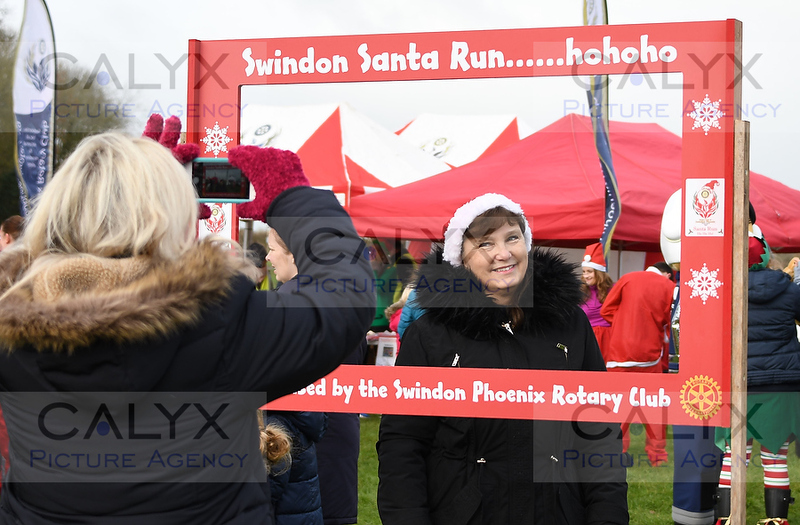 9347 ©Calyx Picture Agency Swindon Phoenix Rotary Club Santa Run Lydiard Park. 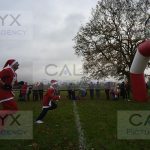 9358 ©Calyx Picture Agency Swindon Phoenix Rotary Club Santa Run Lydiard Park. 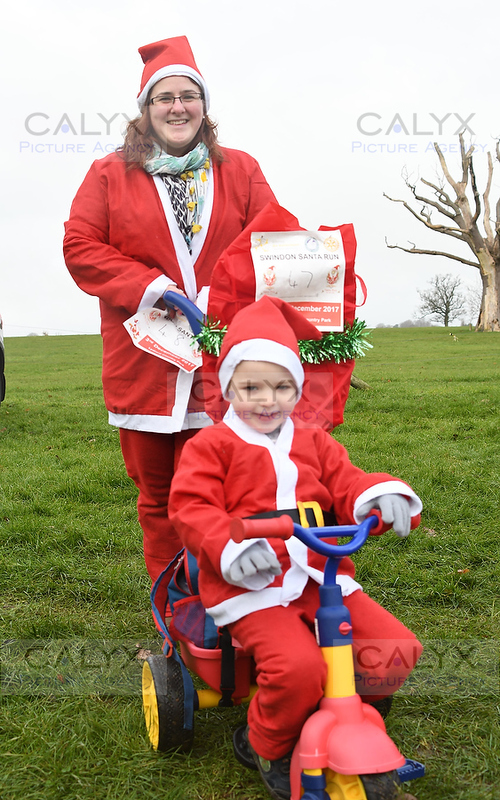 9361 ©Calyx Picture Agency Swindon Phoenix Rotary Club Santa Run Lydiard Park. 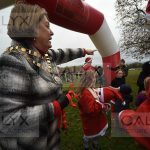 9365 ©Calyx Picture Agency Swindon Phoenix Rotary Club Santa Run Lydiard Park. 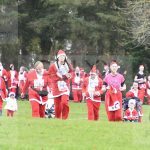 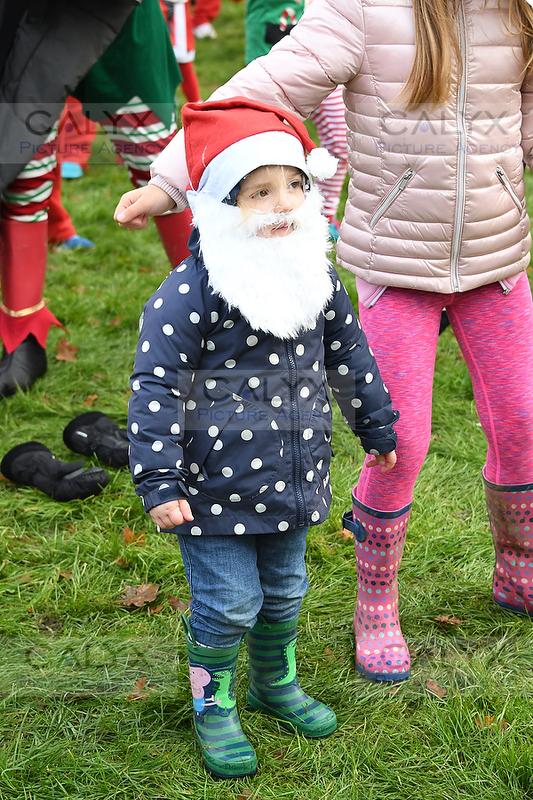 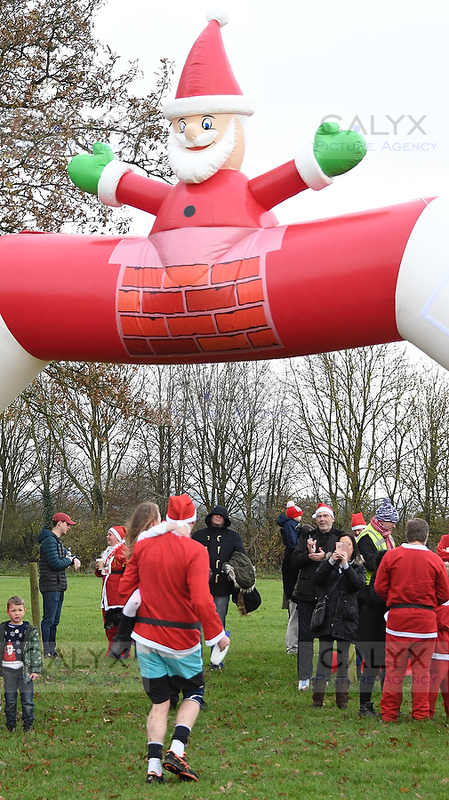 Two Hundred Santa Claus hit Lydiard Park for a fun run organised by Swindon Phoenix Rotary. 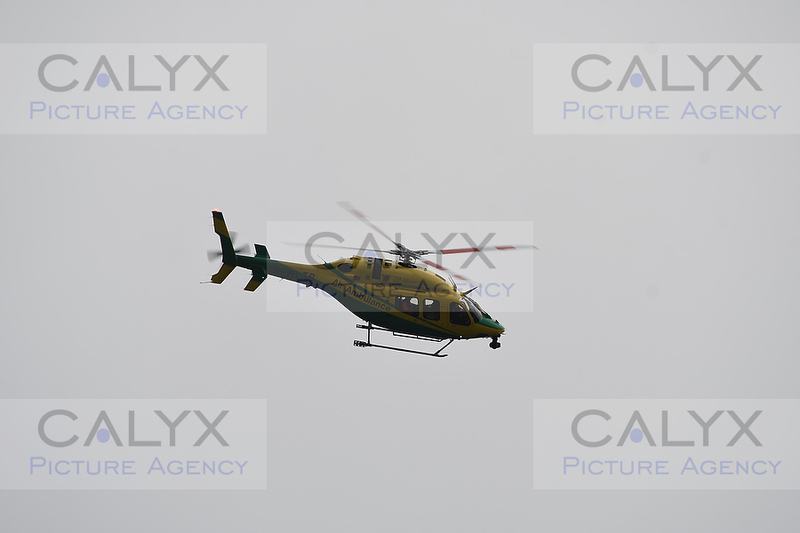 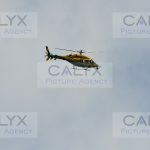 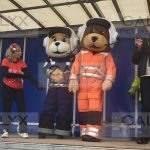 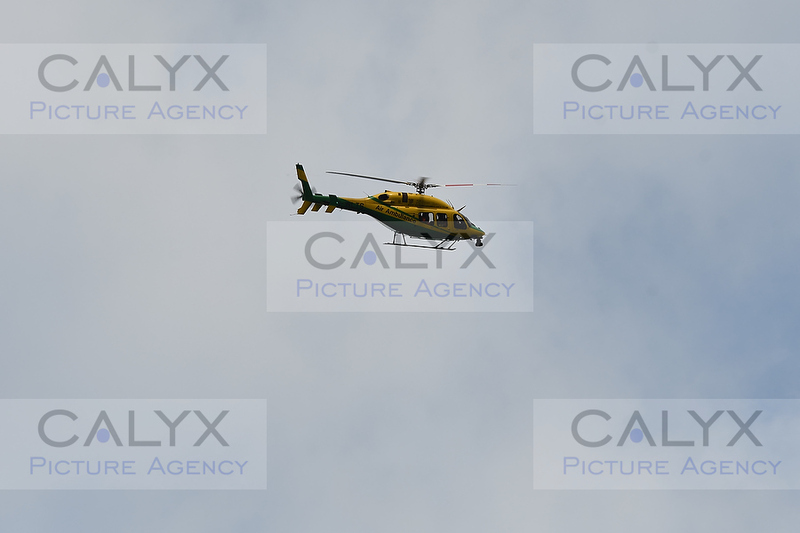 The run raised funds for the Air Ambulance which put in a flying visit. 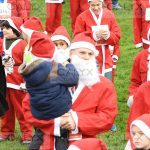 « Olympic star turns on Old Town lights.